After doing a wonderful food tour of Brixton market in London with Mind The Gap tours, we were wanting more action! So we hopped on a short bus ride which bought us to London’s Larder – Borough Market, just in time for lunch! Our guide gave us an orientation of the market and also talked about little history of the place. This was followed by enjoying a taste of one of Borough Market’s famous gourmet sandwiches. There was a lot of grilled chorizo & rocket. Not to be missed was the Montgomery cheddar on poilane bread. Borough Market is a wholesale and retail food market in Southwark, Central London, England. It is one of the largest and oldest food markets in London, and sells a large variety of foods from all over the world. It is supposed to have existed since 1276 but most of the new buildings are just over 150 years old. It was very crowded due to it being a Saturday so we were mostly asked to check out our favorite stalls on our own rather than just moving around in groups. It was like a fair or festival where people from all over the world converged right under the watchful eye of the London Bridge and the Shard. Lot of vendors were displaying some really unique fares like bakery products, diary products, cheese, chocolates, etc. Photography wasn’t really encouraged as vendors felt that some people could steal the ideas and create similar products and sell it at much lesser price. As the competition is fierce, all vendors had to bring in their A-game and world class products to this fair which beats like the heart of London right in the epicenter! Mind The Gap food tour starts in Brixton Market where we can savor the fusion of Caribbean flavors, strong musical heritage and experimental restaurant scene of an authentically flavored London market. Brixton has had some controversial past due to riots and anti-establishment feelings but it is a vibrant and bustling suburb of London worth checking out! Brixton enjoys multi-cultural flavors & a rich history as well as the most innovative restaurants on the London foodie scene. Here our guide was showing us pictures of the popular riot right in front of where it happened. It was great to get a glimpse into the history by living it and breathing it! Brixton is full of interesting murals which surprises you as there is a lot of history in every nook and corner of this market and suburb. This particular mural in Brixton train station displays to you the different sort of wares that you could buy in Brixton market over 30 years ago! This and another mural which is there in Brixton station were made in the 1980s by artists Karen Smith and Angie Biltcliffe who were working under the name Anchor Designs. Brixton station also has the very unique life-size bronze sculptures of waiting passengers on the platform. Our guide mentioned that these sculptures were made by Kevin Atherton (b.1959) and were made of three volunteers who regularly used the station (Peter Lloyd, Joy Battick and Karin Heistermann). They were unveiled on 30th June 1986 by Sir Hugh Casson as part of a Â£1m renovation of the overground station in Brixton. One interesting thing I got to know is that Brixton has it’s own currency which is legal too! Right in the heart of London! Can you believe that??!! The Brixton Pound is the local currency that builds a more resilient and inclusive economy, and creates community pride in Brixton. Its money that sticks to Brixton. It is considered similar to British Sterling Pound in value but you could get paid a little extra earlier in the day if you ensured that you are spending most of your money inside Brixton and ensuring that it’s economy develops. I felt this was a very unique feature of the Brixton Pound! Early on that Saturday morning, there was a line wrapping around the corner for the First Choice Bakery. The bakery supplies â€œJamaica patties, English and Caribbean breads, buns, confectionery and other specialties.â€ We all hung over the multi-cultural Brixton Village Market as our guide stood in the line to get us some delicious burgers. It was great to see a lot of Caribbean influence specially Jamaican nationals in Brixton market. It was wonderful to note that many Indians and Europeans also made this vibrant market their home and rebuilt it after the riots to ensure that the culture remains intact! Our last stop in Brixton Market during Mind The Gap food tour of London was Salon dining room which is located above Cannon & Cannon’s cheese shop at 18 Market Row. They cook fresh, seasonal and inventive food using the best produce they can get their hands on. We tried out some local craft beers and some cold cuts to go with them. Also one of the other unique dish I tried there was the Scotch Egg which is a hard boiled egg wrapped in sausage meat, coated in bread crumbs and then baked. 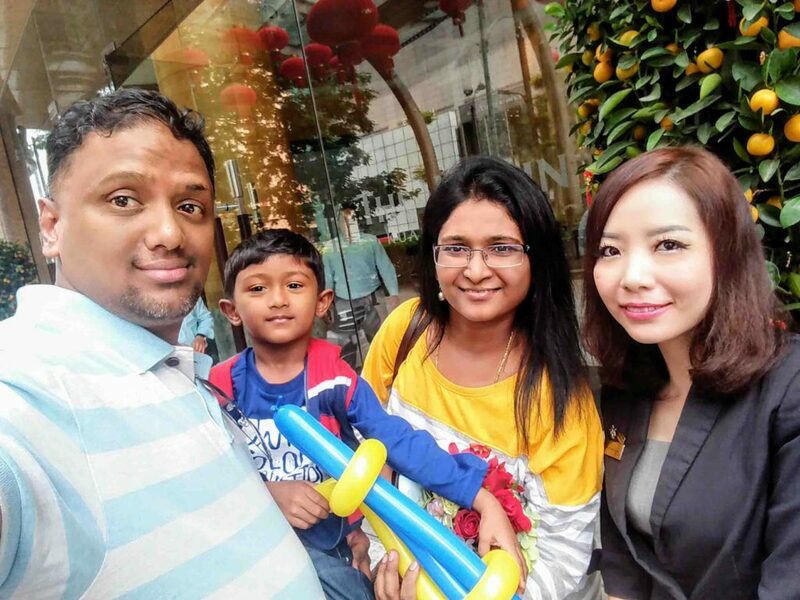 Ramada Singapore at Zhongshan Park – ‘Hotel in a Garden’ in green Singapura! 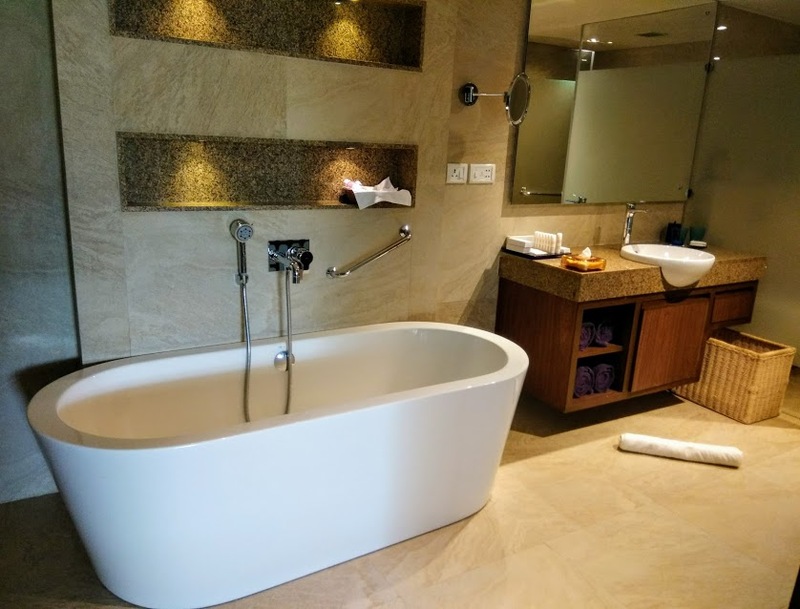 On my recent trip to ‘The Red Dot’ (Singapore’s nickname, for the uninitiated), I was looking for a stay somewhere close to the city, yet be far from the hustle and bustle of the metropolis. So after doing research online, I found Ramada Singapore at Zhongshan Park as the perfect fit both for a comfortable and an affordable stay for just around 180 Singapore dollars per night or so. I also liked the fact that the hotel is quite new, just about a couple of years old and already won awards from the industry! Walking into the rooms, I found them to be compact and cozy. They were well aesthetically designed with floral prints on the pillows and bedding. 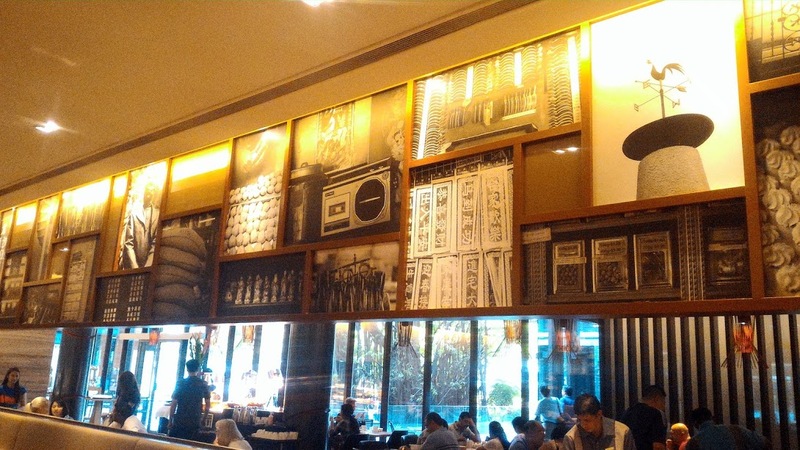 The walls were decorated with paintings reminding us of erstwhile colonial rule in Singapore. The large glass windows provided perfect view to the city and if you are lucky, you could get a view of the amazing greenery all around which makes Singapore a city in a garden rather than the other way round. 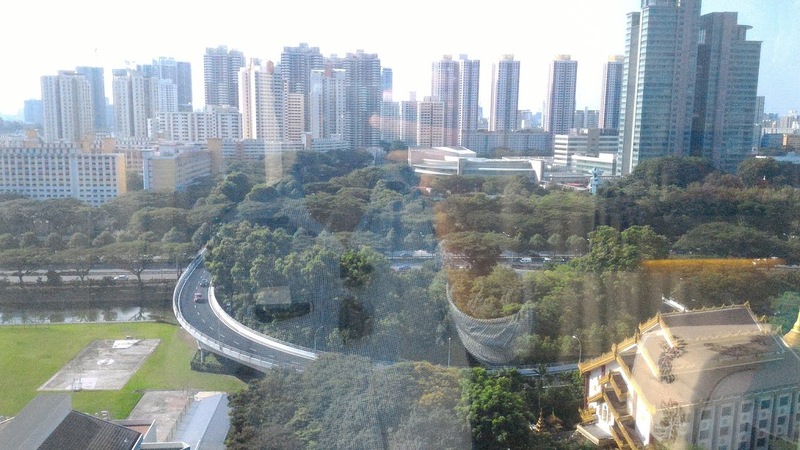 I was lucky to be in a corner room on the 15th floor of Ramada Singapore at Zhongshan Park. 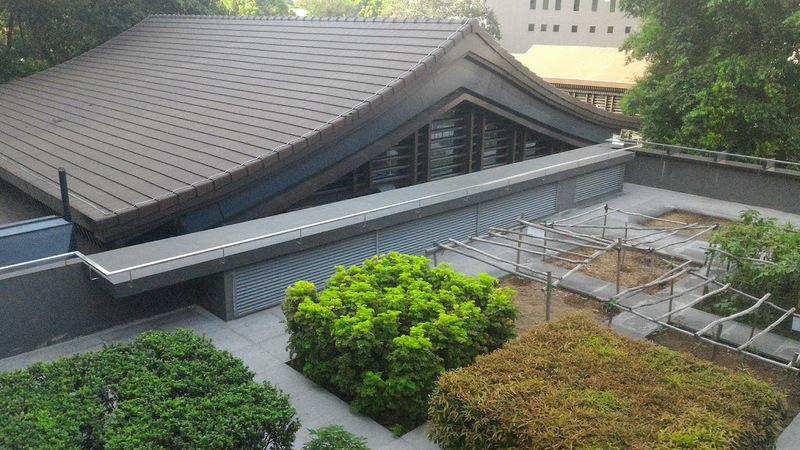 I had wonderful views of the Sun Yat Sen Nanyang Memorial Hall (many Chinese immigrants used to gather here to discuss Chinese politics) , Goh Chor Tua Pek Kong Temple (Chinese temple) and pre-world-war-2 conservation buildings. The greenery bang in the middle of the city and the suburbs reminds us of the environmental richness that the city has to offer. You are never too far from the city too as Ramada Singapore offers regularly shuttle services to nearest MRT station which is Novena MRT (5 minutes away) and to the most popular shopping district of Orchard Road (15 minutes away). Don’t forget to plan in advance though as shuttles can get booked out early. But don’t worry as Taxis are not very expensive too and the doormen help in getting you a taxi at any time of the day or night. 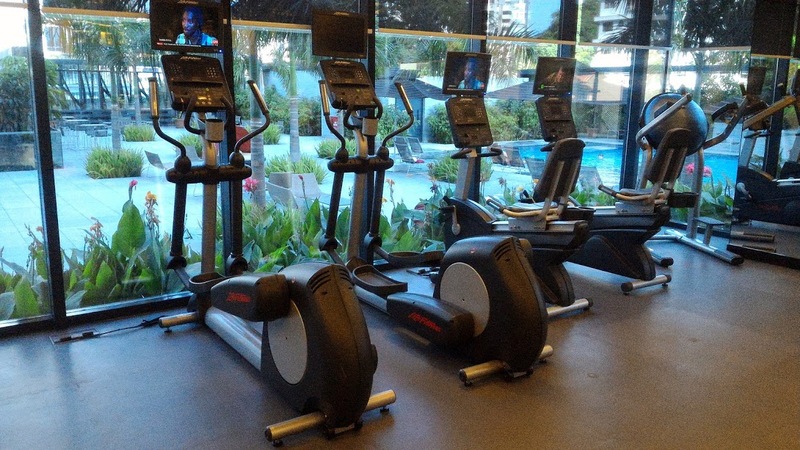 For the fitness freaks, you don’t need to worry at Ramada Singapore as they have fully equipped Gymnasium where you can’t miss your favorite entertainment programs while working out. 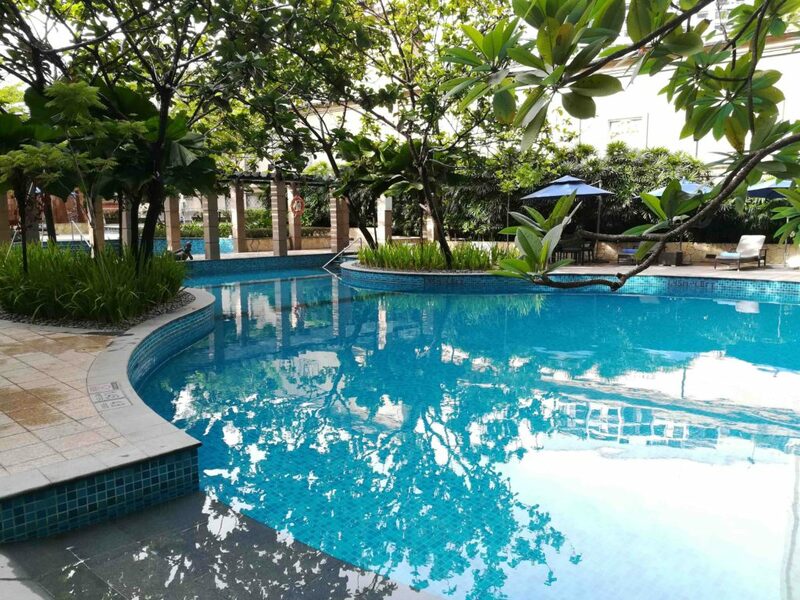 There is a very chilled out swimming pool which always has shade thanks to it’s design which ensures that you can have a delightful swim even in the most humid Singapore weather. I liked the concept that Ramada Singapore has it’s own terrace Herb Garden. These herbs are used in the restaurants and provide a fresh and natural perspective to the food served. The decor of the Herb garden is inspired by the oriental houses and is a testament to the Chinese culture which has contributed a lot to Singapore. 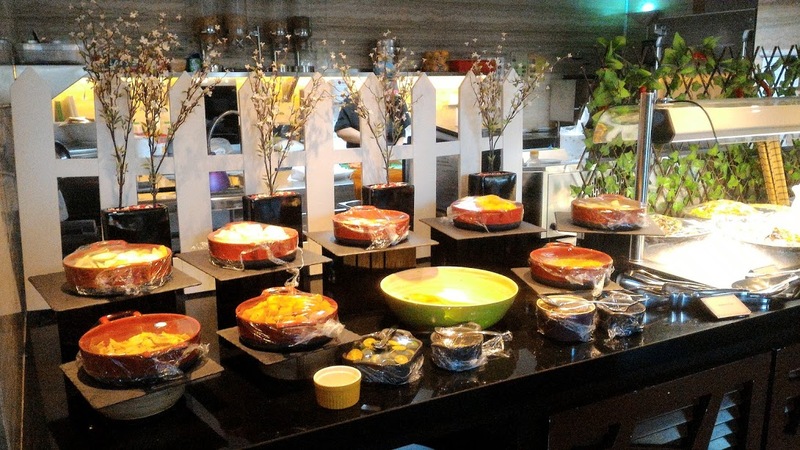 Another positive aspect of The Ramada Singapore is that it is directly connected to Zhongshan Mall and surrounded by an array of restaurants in case you don’t feel like eating in the hotel itself. The Flavors All Day Dining restaurant at Ramada Singapore at Zhongshan park offers authentic Chinese cuisine coupled with a mix of international and western favorites. The decor reminds you of erstwhile Singapore and plays perfect homage to the 50th birth year of Singapore as an independent country way back in 1965. 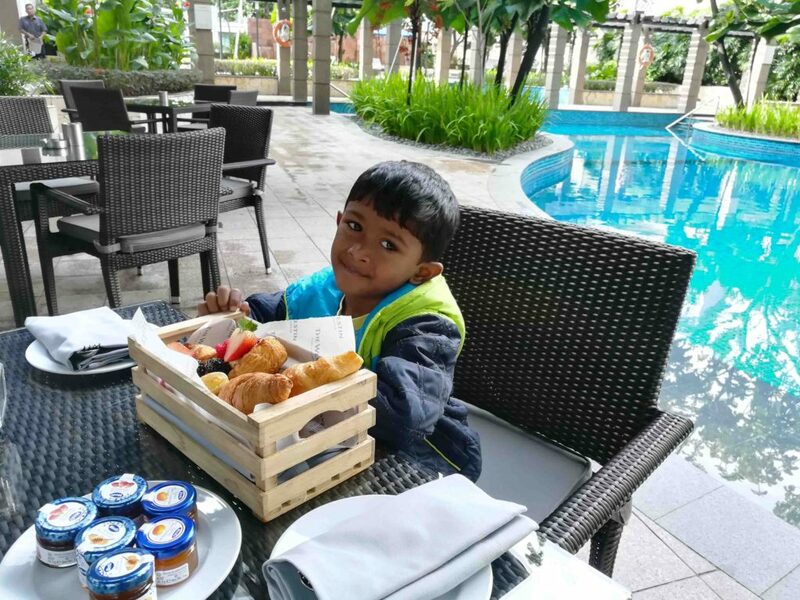 The breakfast boasts of both Asian delicacies and Western delicacies with lot of healthy food too like Brown and Wheat bread at The Deli, Muesli and fruits, oats and porridge, etc. You also have an array of vegetarian options which change daily and if you are Indian, you will find 1 or 2 Indian varieties of breakfast too! In a nut-shell, Ramada Singapore at Zhongshan Park offers 384 well-appointed guest rooms with premium Serta mattress for a good night’s rest, Complimentary High Speed Internet Access, Free Local Calls, Complimentary use of the Gymnasium and Swimming Pool and a breakfast worth waking up for. 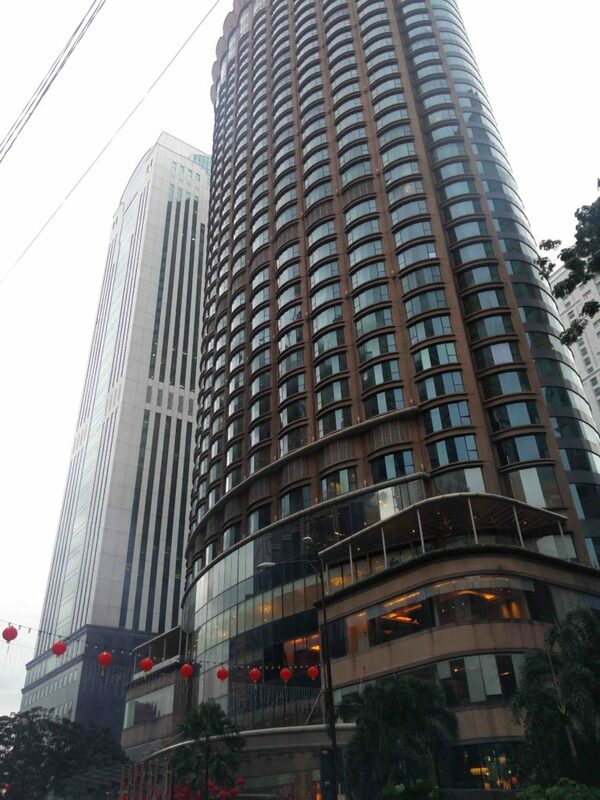 Hotel Ramada Singapore at Zhongshan park is at 16 Ah Hood Road, Singapore and can be reached on 00 65 6808 6888. You can also find Ramada Singapore at Zhongshan Park on Facebook. After checking into our hotel in Edinburgh, we were greeted by Julie of Eat Walk Edinburgh tours at reception of Hotel Du Vin. Eat Walk Edinburgh walking tours took us through the historical heart of the city while allowing us the time to sample food and drink from some of Edinburgh’s unique restaurants, shops and bars. Between premises our guide Julie also pointed out interesting sights of the city and gave us advice on other places to visit after our tour is over. First stop was Greyfriars Bobby’s Bar which has a legendary story of a dog attached to it. The best-known version of the story is that Bobby belonged to John Gray, who worked for the Edinburgh City Police as a night watchman. When John Gray died he was buried in Greyfriars Kirkyard, the graveyard surrounding Greyfriars Kirk in the Old Town of Edinburgh. Bobby then became known locally, spending the rest of his life sitting on his master’s grave. After Bobby the dog died, Lady Burdett-Coutts had a statue and fountain erected at the southern end of the George IV Bridge to commemorate him. This is the location of the bar now and many tourists rub Bobby’s bronze statue’s nose for good luck! Later we went to a unique liquid deli called Demijohn! Angus and Frances Ferguson founded Demijohn in 2004 in Edinburgh’s Old Town as the World’s first liquid deli. It started as a family business and still is very much that. The idea for Demijohn came originally from a wonderful experience Angus had while living and working in Naples, Southern Italy, in the early 1990’s as a Student. He would buy his wine for parties from a local Cantina, or winery. He was allowed to take along a container of his own, try the wines on offer and have his jerrycan filled up. It was a bit like filling up a car with fuel at a petrol pump, except a lot more fun! Having traveled widely and eaten adventurous food all their lives, Angus and Frances decided it was about time Britain enjoyed the full freedoms of taste experienced on the continent, but with a focus on locally sourced British produce. 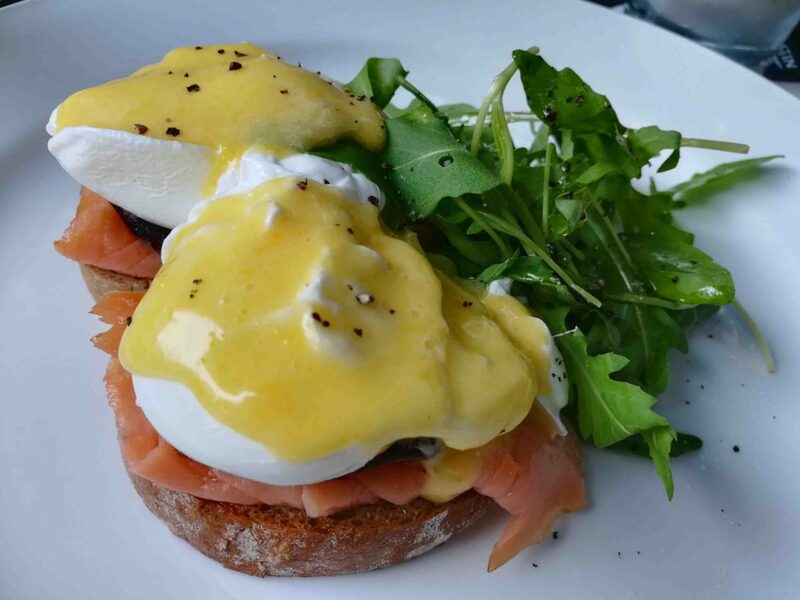 One of the most expansive and exciting food tours in Scotland is the Tasting Scotland tour in Fife County covering St.Andrews and Pittenweem. Founding direct of Tasting Scotland, Brenda Anderson conducts in this tour in the food kingdom of Fife. It starts with the visit to St.Andrews Farmhouse Cheese in Pittenweem. There we met Briony, who works with Jane Stewart, the owner in the production of the best local artisan cheese in Fife. We also did some local specialty Cheese Tasting. Anster cheese is hand made on the farm – to a traditional recipe – by Jane Stewart, using unpasteurized milk from her husband Robert’s herd of home-bred Holstein Friesian cows. The cows graze all summer long on the lush pastures overlooking the May Island above the Fife fishing village of Anstruther (from which the cheese takes its name). Anster cheese is fresh and dry, with an almost crumbly texture, which dissolves in the mouth to leave a full-flavored finish. There was a viewing gallery where we looked straight into the cheese vat and observed the whole process – from milk, to curds and whey, to finished cheese ready for pressing. We also visited one of Fife’s historic fishing villages and almost went down till the coast down a steep enclave. But it was so chilly and windy that we decided not to spend too much time outside and rushed back to more comforting climes! We also saw some Scottish cows which are known as the Highland Cattle. They have thick coat of fur to protect themselves from the cold climates which is there in Scotland most of the year. A legendary place in Edinburgh is the Balmoral hotel which was earlier known as the Railway Hotel as people used to look at the clock on its tower and plan their trips via Edinburgh railway station. It stands majestically on the Princes Street just parallel to the Royal Mile and is easily recognizable if you just pass it from anywhere in the city. But there is a new place which has come up just opposite to it which is becoming as popular as it’s esteemed neighbour! Twenty Princes Street Smokehouse and Grill which opened in 2013 not only uses local produce, but specifically from Edinburgh. It encapsulates Edinburgh and all that the historic capital city has to offer. They are passionate about showcasing Edinburgh produce like Edinburgh gin, Lothian beef, Leith landed mussels and hand dived scallops caught right off the coast. All are enjoyed with postcard perfect views of the Edinburgh skyline and the castle! 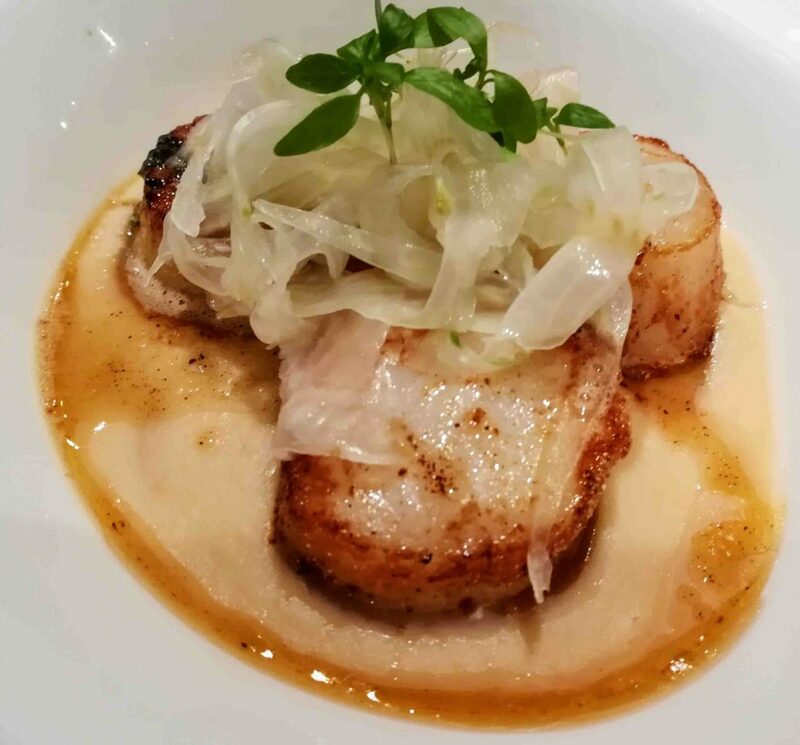 Chef Tony Sarton demonstrates his culinary flair with an inventive and eclectic menu that keeps pace with the seasons and uses only the finest locally sourced ingredients. Thereâ€™s an exciting choice of fish and seafood dishes while the selection of steaks are a signature of the restaurant. I tried out Birch Wine-cured wild pigeon with pickled pear, pumpkin seed and pistachio granola. This was a bit chewy as I’m not very used to Game meat. So I was not able to enjoy it but my counterparts liked this dish. 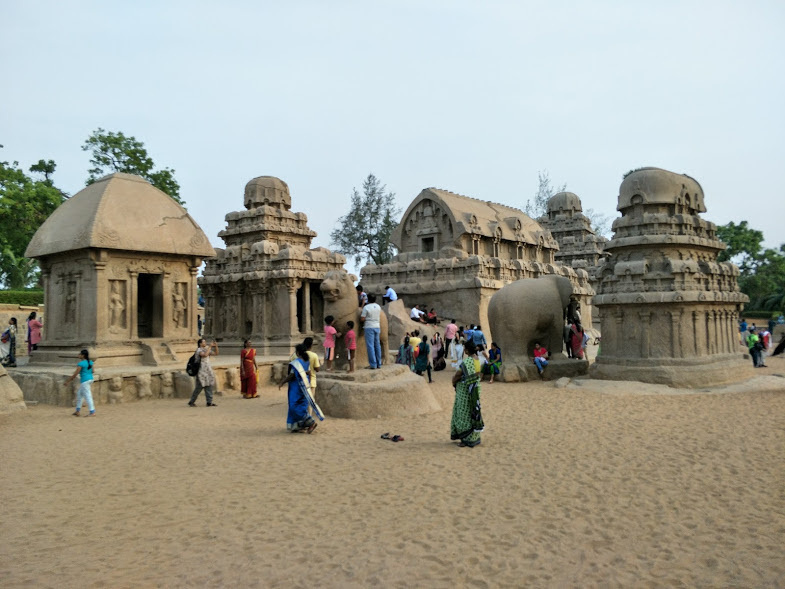 I had last visited Mamallapuram (Mahabalipuram then) near Chennai as a 8 year old kid and saw all the world famous historic monuments there but most of the memories have been restricted to a couple of grainy east man colored photos which are almost fading away. So it was time to make new memories with my wife and my 4 year old son. 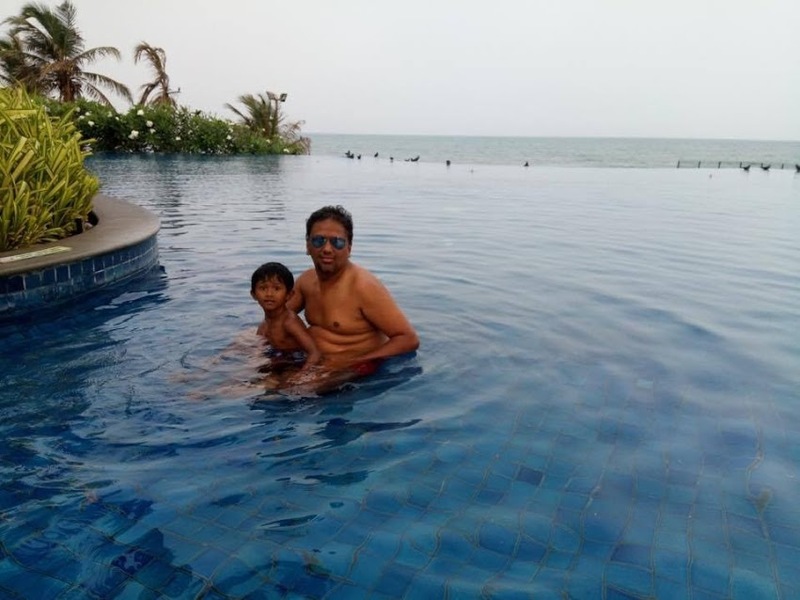 So we head out to Chennai in the grueling summer but our solace was in the fact that we would be staying at the most famous resort there which is Radisson Blu resort temple bay, mamallapuram managed by GRT hotels. located in the seaside town of Mamallapuram (as Mahabalipuram is now known) on the Coromandel Coast. 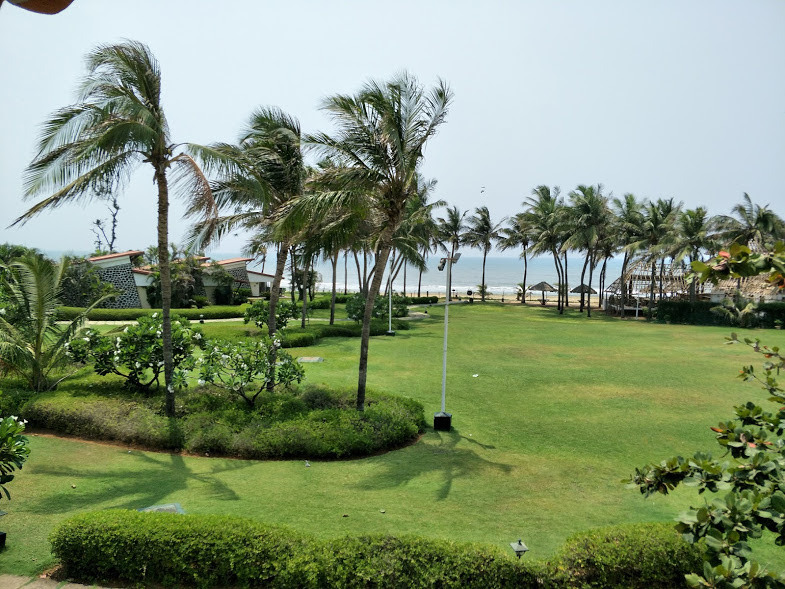 What surprised me pleasantly was the sheer size of the resort which is spread over 45 acres with a breath-taking view of Bay of Bengal and the world-famous Shore Temple. The resort’s outstanding feature is its largest meandering swimming pool of 27,000 sq.ft. and an infinity pool that merges into the bay. 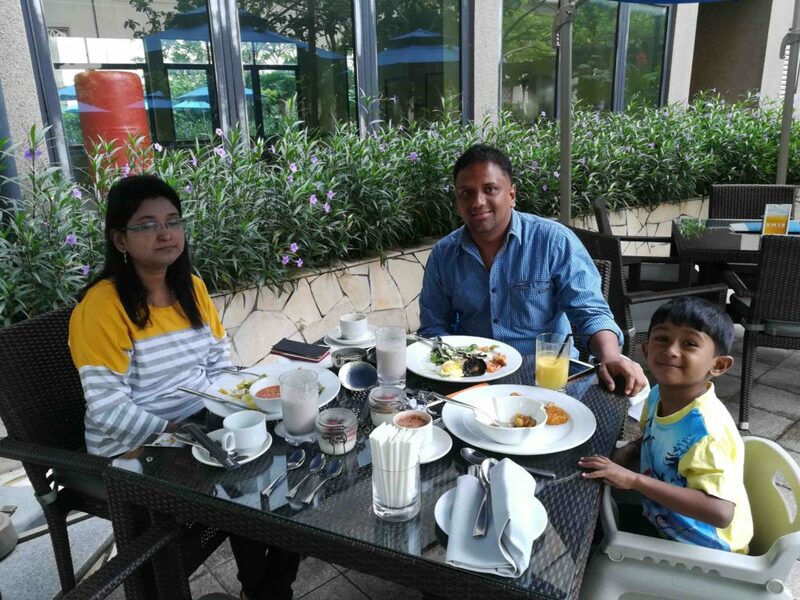 On invitation from Radisson Blu resort Temple Bay, we stayed in the Sea View Chalets which are around 495 SQ. FT. These chalets are modern and spacious with panoramic views of the sea. We could just unwind by the open porch and gaze at the sea, with the majestic Shore Temple in the foreground. There was buggy service available for seniors, kids or those with luggage. The wonderful green walkaways were great to walk on too. We stayed on the 1st floor Sea View chalet which had a nice balcony outside the room which had couple of chairs you could relax on while sipping coffee during Sunrise or cocktails during Sunset! The exquisite decor pleased us all. 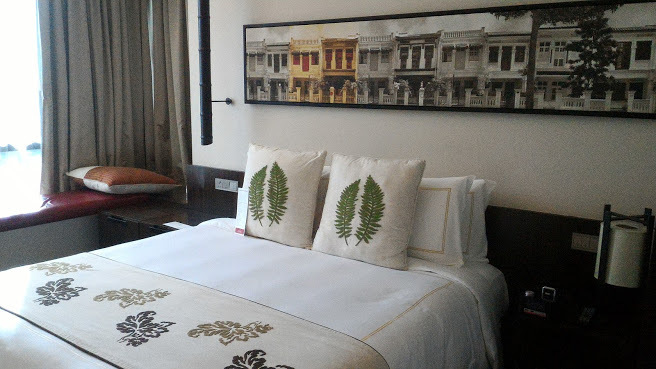 Once inside the room, I was pleasantly stunned by the tasteful decor of the room with bright colors and colonial look. 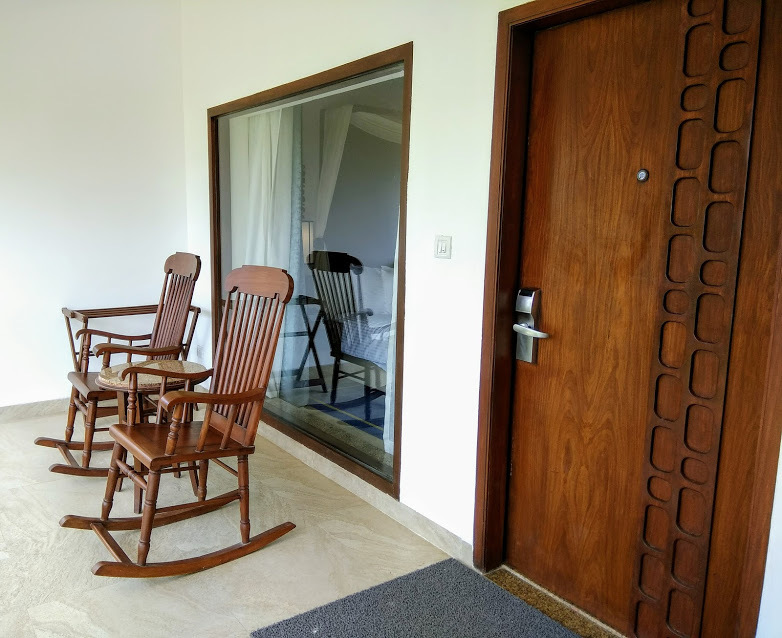 The Sea View chalet had a sitting area inside along with a queen size bed and sliding doors for the tasteful bathroom which had a nice bath tub and separate areas for shower and WC so that two people could use it at the same time without disturbing each other. 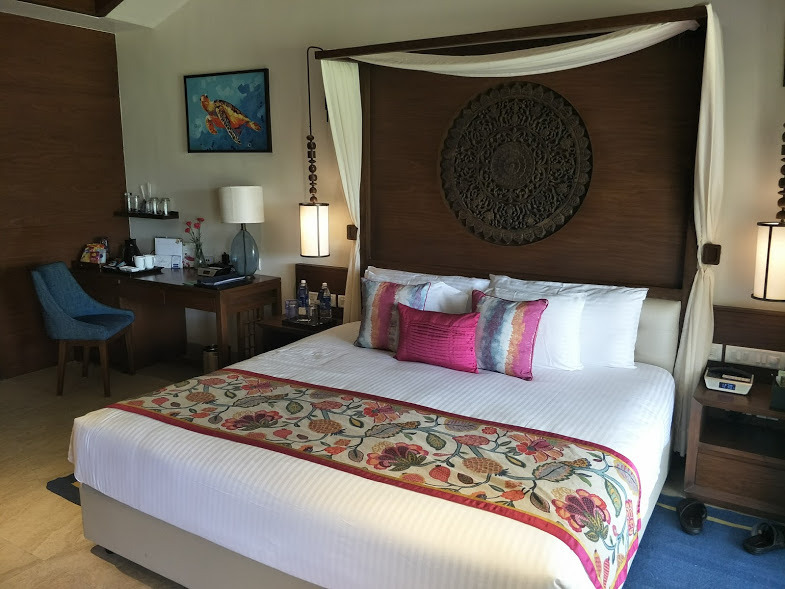 The decor is inspired by the Sea and I was happy to see paintings of Sea turtle as it reminds us of the ocean and also the initiative by the hotel to conserve sea turtles. The bed is good for a couple and a kid younger than 8 years old. 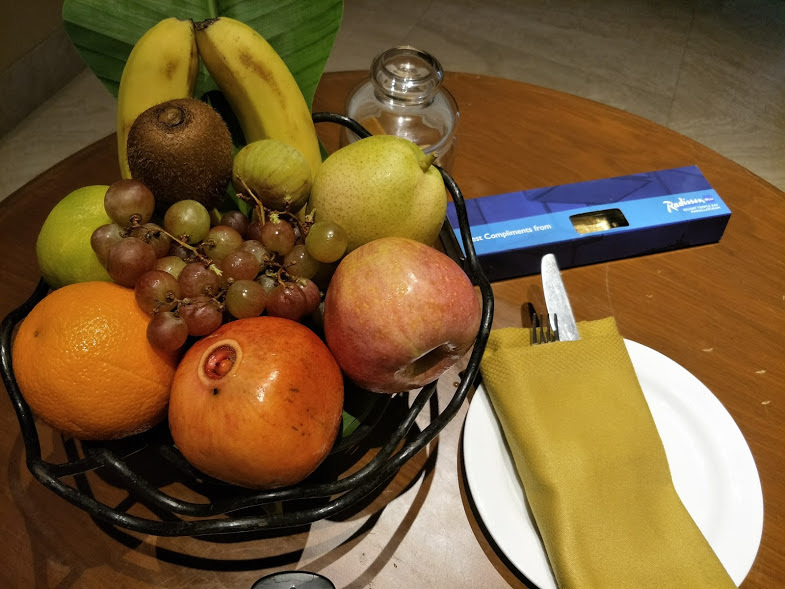 Radisson Blu Temple Bay resort cares for your health always and that’s why upon welcome, they provide a fruit basket with all types of seasonal fruits. They also take care of your sweet tooth by providing home made chocolates. This was the wonderful view from our room of the sea and the gardens around the beach. It’s great place to just walk down the beach for an early morning or late evening stroll. Major UNESCO World Heritage sites like The Shore Temple, Arjuna’s Rathas and more are within walking distance of the hotel. Hotel will also provide car facilities if required. This is us at the Arjuna’s rathas which you can also see below as 5 rathas. Pancha Rathas is an example of monolithic Indian rock-cut architecture. Dating from the late 7th century, it is attributed to the reign of King Mahendravarman I and his son Narasimhavarman I (630–680 AD; also called Mamalla, or “great warrior”) of the Pallava Kingdom. An innovation of Narasimhavarman, the structures are without any precedent in Indian architecture. 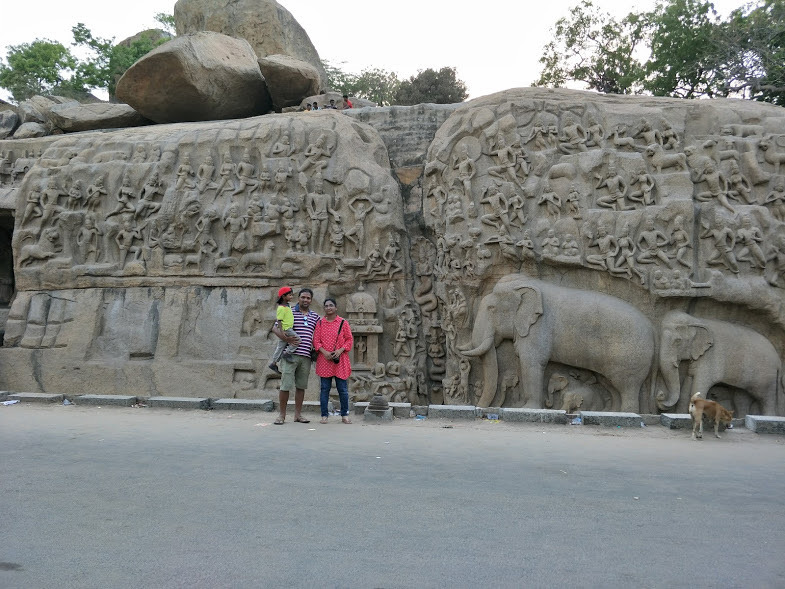 We also visited Arjuna’s penance or Descent of the Ganges, which is a monument at Mahabalipuram. Measuring 96 by 43 feet (29 m × 13 m), it is a giant open-air rock relief carved on two monolithic rock boulders. The legend depicted in the bas-relief is the story of the descent of the sacred river Ganges to earth from the heavens led by Bhagiratha. The waters of the Ganges are believed to possess supernatural powers. The descent of the Ganges and Arjuna’s Penance are portrayed in stone at the Pallava heritage site. It is supposed to be second largest in the world after Angkor Wat in Cambodia. One of the exciting activities that you can take part in Radisson Blu Temple Bay resort is the catamaran ride which is generally held in the morning. In the catamaran ride, you will be taken on a ride on to the open seas with expert fishermen. 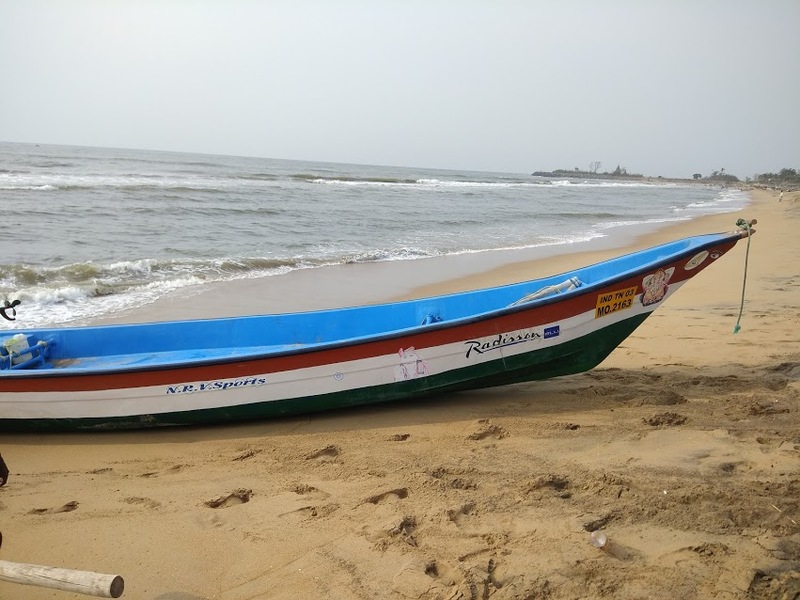 This ride is only for people above 10 years of age and it is conducted only if there is no turbulence in the sea or high tides. 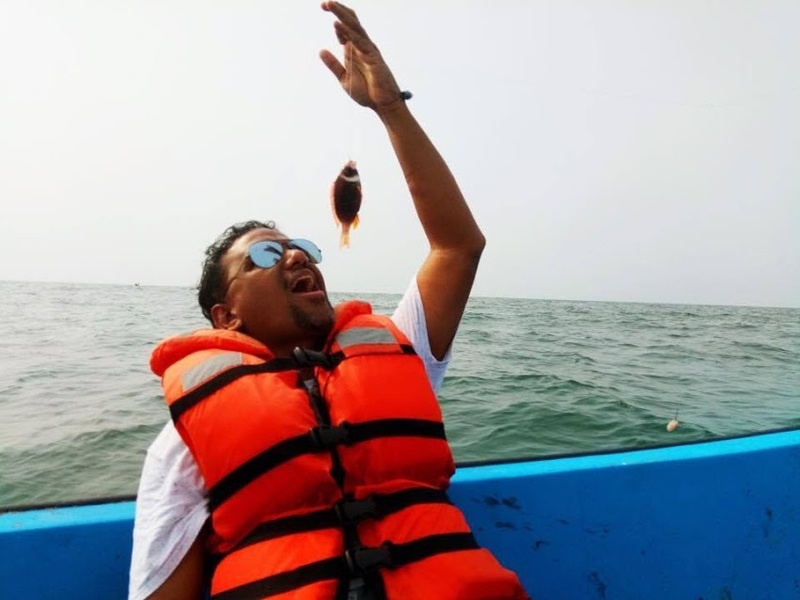 One of the fun activities you can do while on the ride is fishing which the fishermen will teach you by providing the nylon fishing wires, bait in form of prawns and of course the hook. 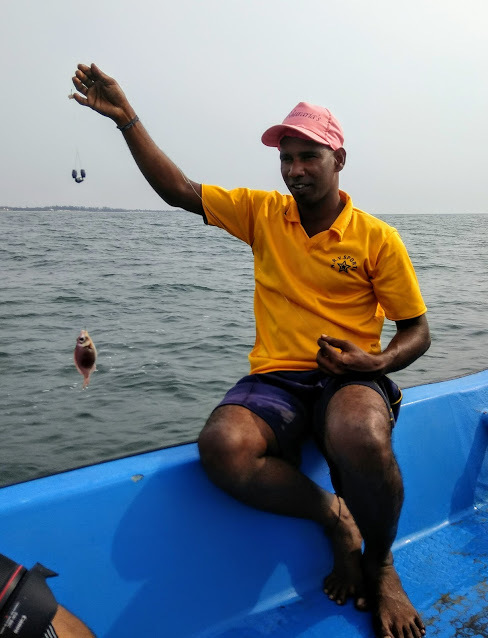 We ended up catching a good haul which is generally then given to some poor people in the village town of Mahabalipuram. Another fun activity is they will ask you to jump into the sea after taking you out into the open sea. 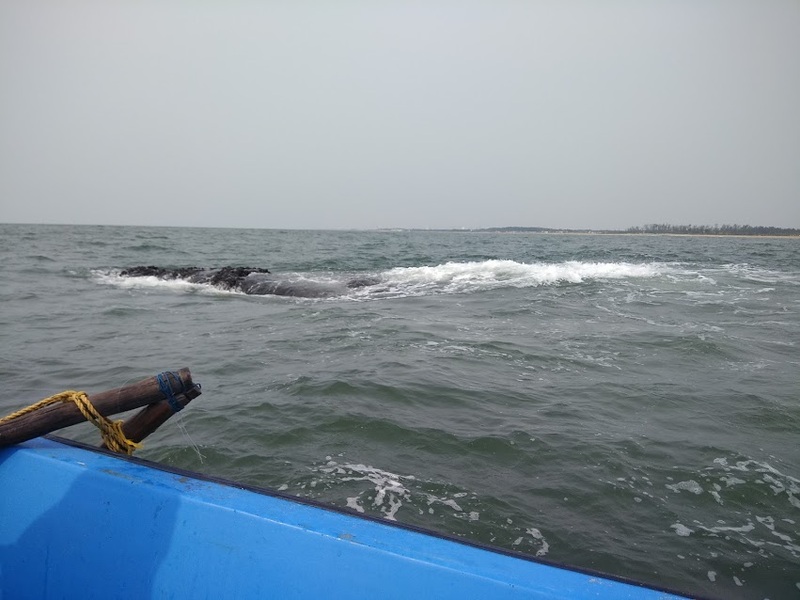 This will help you lose fear of water as you would be wearing life jacket and expert fishermen are by your side. We avoided this activity due to fear of getting stung by jelly fish. 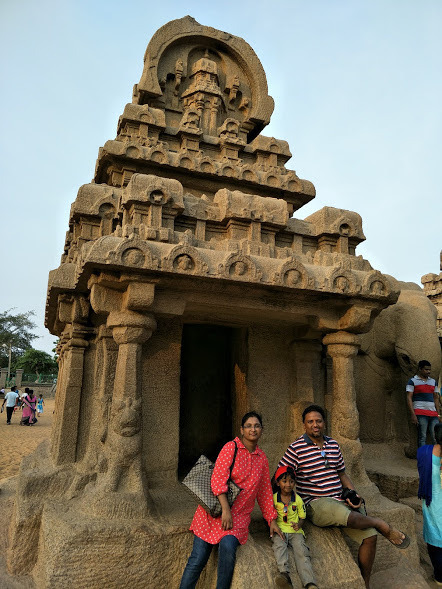 One very exciting thing we saw during the catamaran ride was the top of the submerged temples of Mahabalipuram which were part of the same temple complex as the shore temple. During the fateful Tsunami in India, these temples were visible due to low tide but since then they are only accessible if you scuba dive and that too with permission of the government. 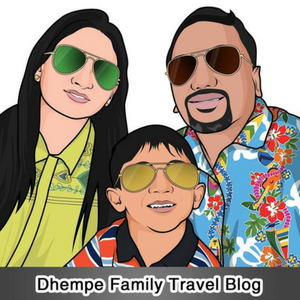 Overall, we had a wonderful time at Radisson Blu Temple Bay resort thanks to it’s great location, wonderful hospitality and exciting activities on offer. For couple of days, we were totally cocooned from the outside world and were pampered in the lap of luxury. Would definitely recommend this resort for at least 2 days and 1 night trip if you are visiting Chennai or Pondicherry. A perfect blend of leisure facilities alongside state-of-the-art conference and wedding venues, Radisson Blu Resort Temple Bay is an ideal getaway for both corporates and families. 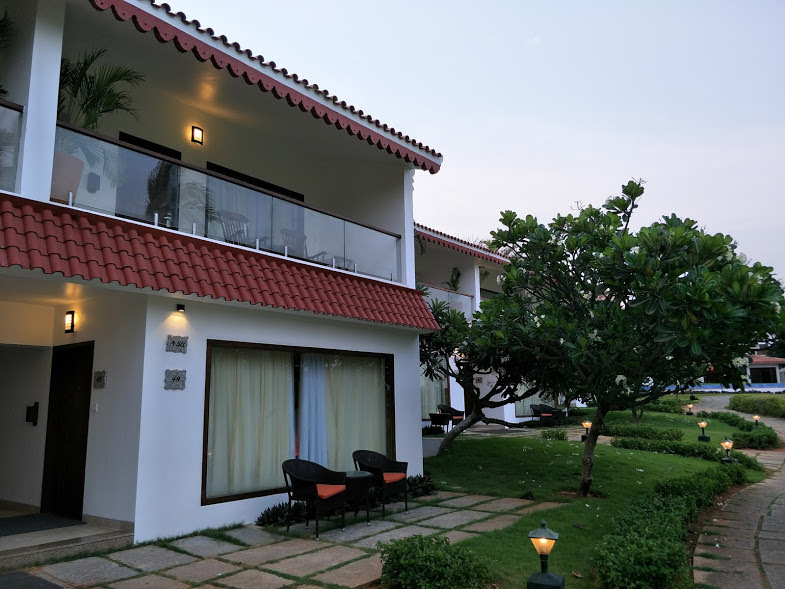 You can follow Radisson Blu Resort Temple Bay, Mamallapuram on Facebook here. More information about Bodhi Spa is available on Facebook here. Sharjah – just the name reminds you of amazing cricket matches between India and Pakistan played since the ’80s! The city in the middle of the desert had the unique distinction of hosting maximum number of Cricket One Day Internationals in the world! Now Sharjah has become the gateway to the Arab world and it’s main tourist attraction too! 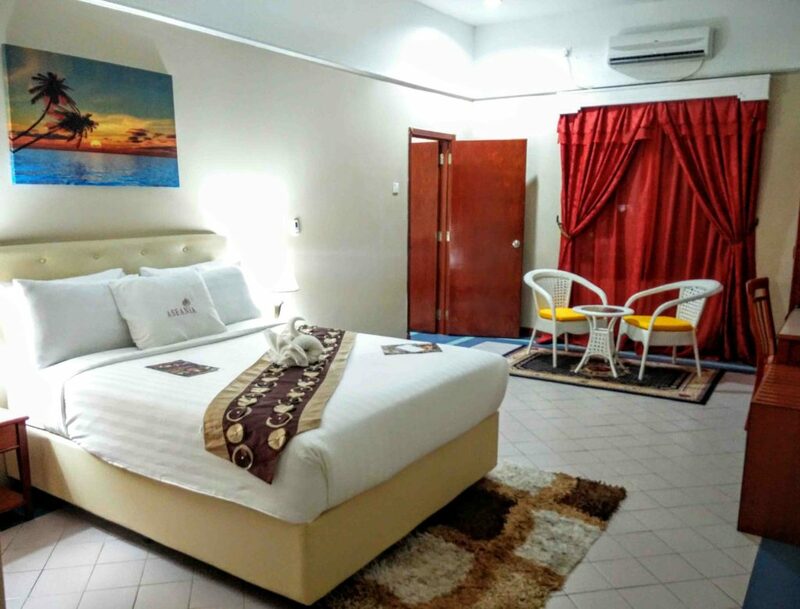 If you are ever around Sharjah either for transit or for visit, you must absolutely visit Centro Sharjah which is one of the best and affordable hotels in the area. If you alight in Sharjah International Airport, either to catch a transit flight or to go to Dubai and Abu Dhabi, it would be worth your while to have a layover stay at Rotana’s Centro Sharjah hotel just adjacent to the airport. What I liked as soon as I entered was the huge atrium which was very inviting and spacious. It had lot of elements of the Arab world like palm trees, exquisite paintings and was really cool even in the hot Arab summer. Perched in close proximity to the Sharjah International airport and the SAIF zone business hub, the hotel is the perfect haven for the next generation traveller offering style, sophistication and value. Centro by Rotana won the Best Budget Hotel in 2012 during the Business Travellers Award Middle East. It’s not too tough to understand why. 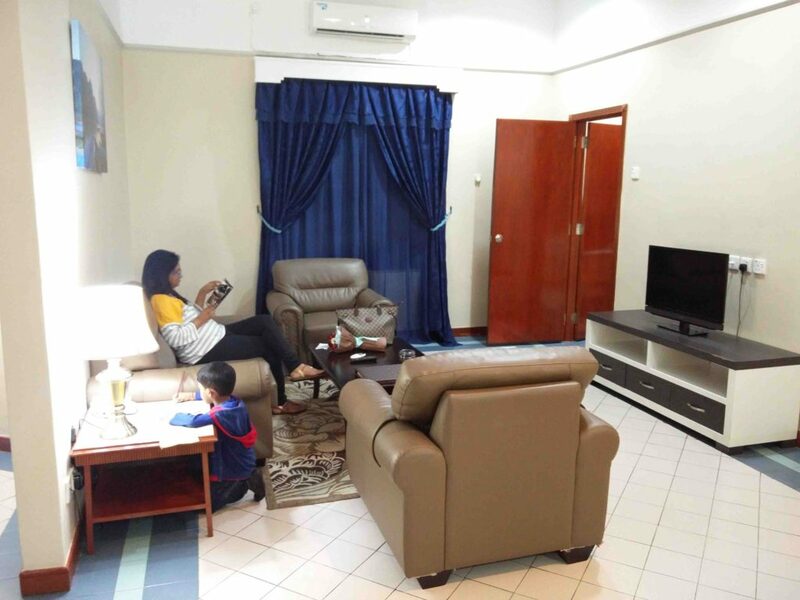 The rooms are spacious for 1 or 2 travelers who are primarily traveling on business or are going via transit. The rooms were very tastefully done with artistic decor and drapes. We arrived at Kuala Lumpur for the celebration of our #HalfADecade Marriage Anniversary! 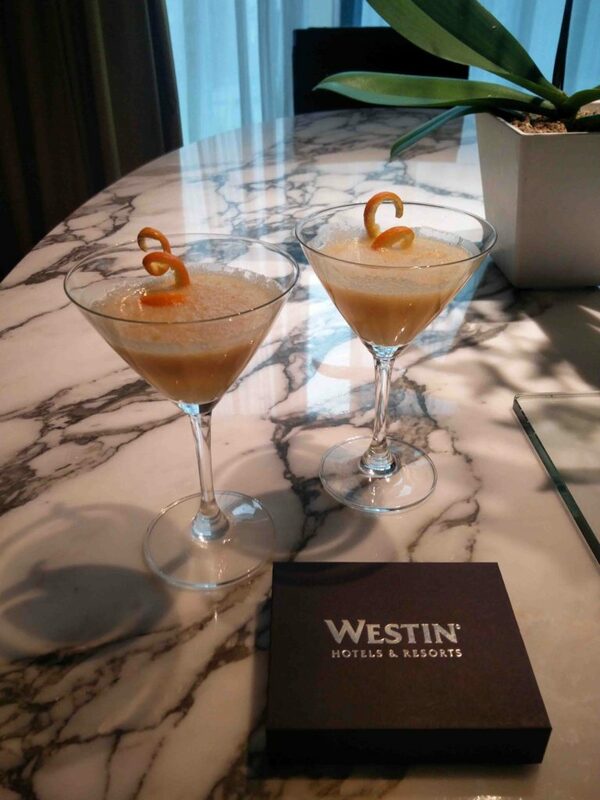 We immediately headed to Westin Kuala Lumpur which hosted our stay. 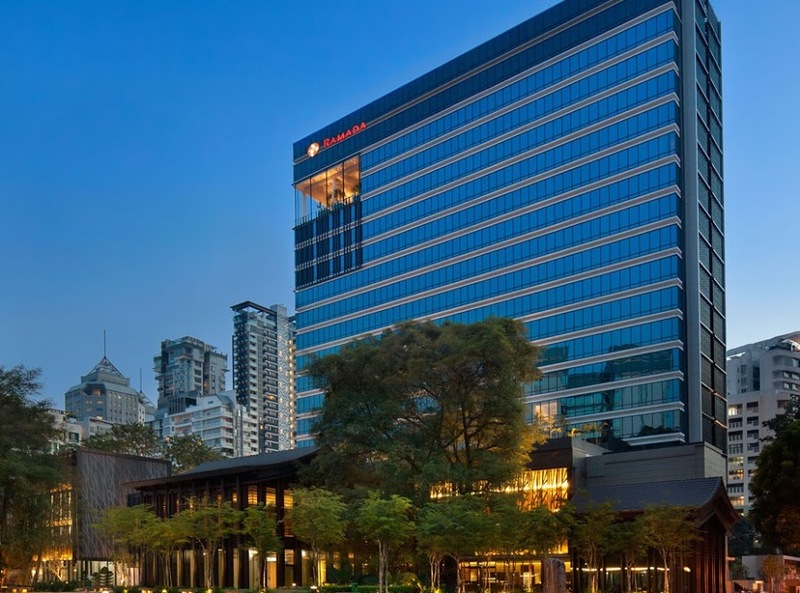 The Westin KL is a perfect place for tourists seeking beauty, luxury, comfort, and convenience in the heart of Kuala Lumpur. 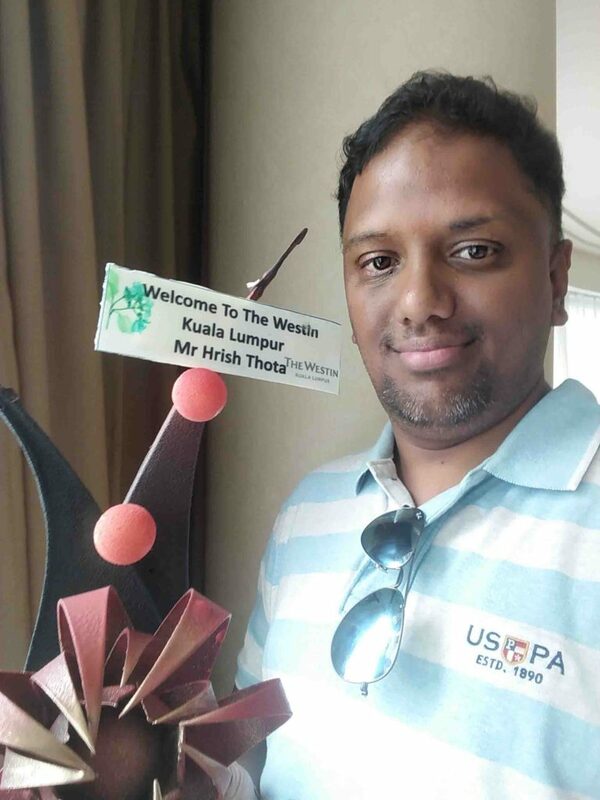 Westin KL provided travel from airport to the hotel which was really welcome after a long night of travel via Air Asia flight from Bangalore to Kuala Lumpur! 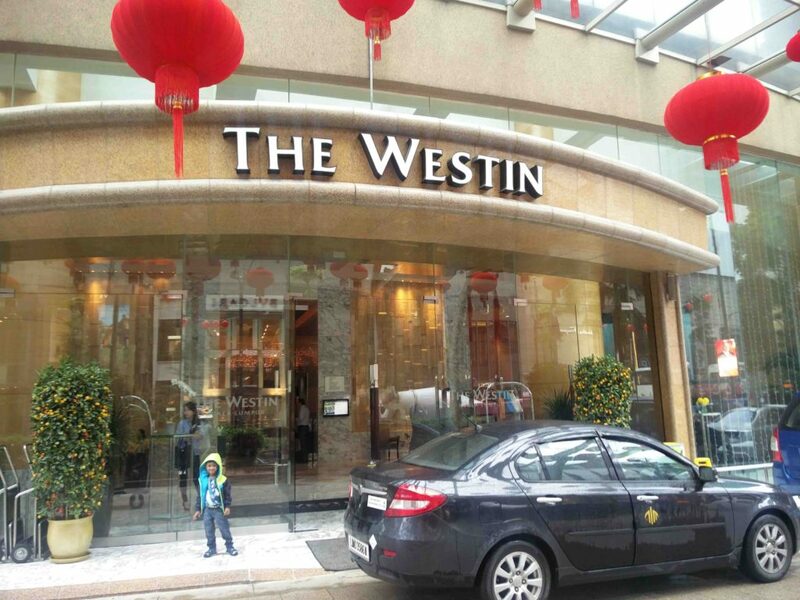 We arrived in style at Westin Kuala Lumpur and check-in was a very smooth process which was done directly in our room. 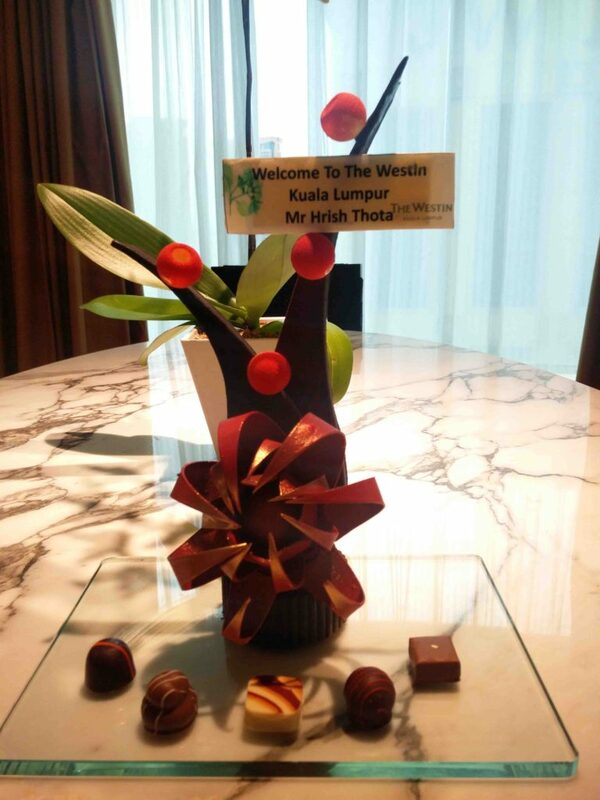 A Warm Welcome From Westin KL Staff. The Westin Welcome Drink to Savor the Reception. 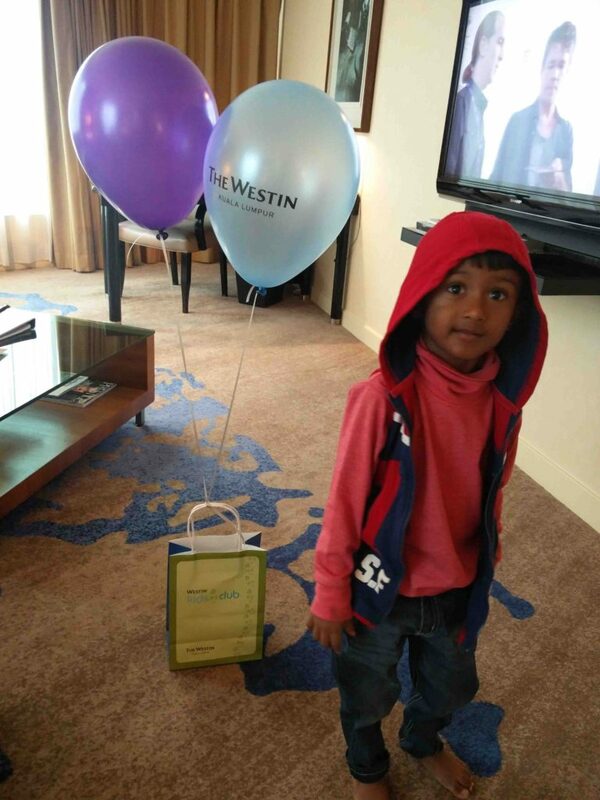 Westin KL Kids Club Welcomed Reyansh. With balloons and chocolate creations! Living areas featured elegant wood floors, a cream-colored sofa covered with colorful pillows, and a glass coffee table. We could relax with a 46-inch flat screen TV with a DVD/CD player in bedroom. 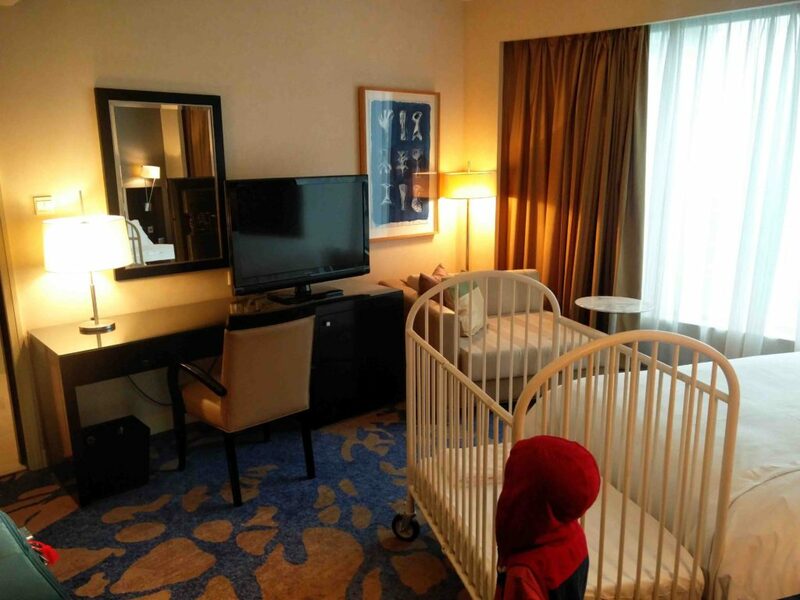 Westin KL arranged a crib for Reyansh so that he could sleep in it comfortably. King-sized Westin Blissful and Comfortable Bed and an oasis of lush sheets, down cushioning, and a patented pillow-top mattress. Separate bedroom in the Suite! Marble floors and counters as well as windows for overlooking the city. 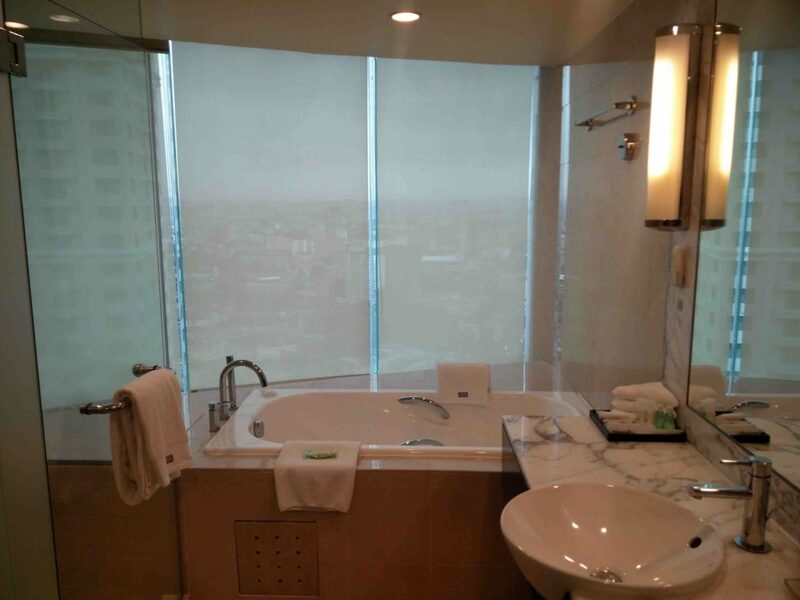 Westin view from Bathtub! 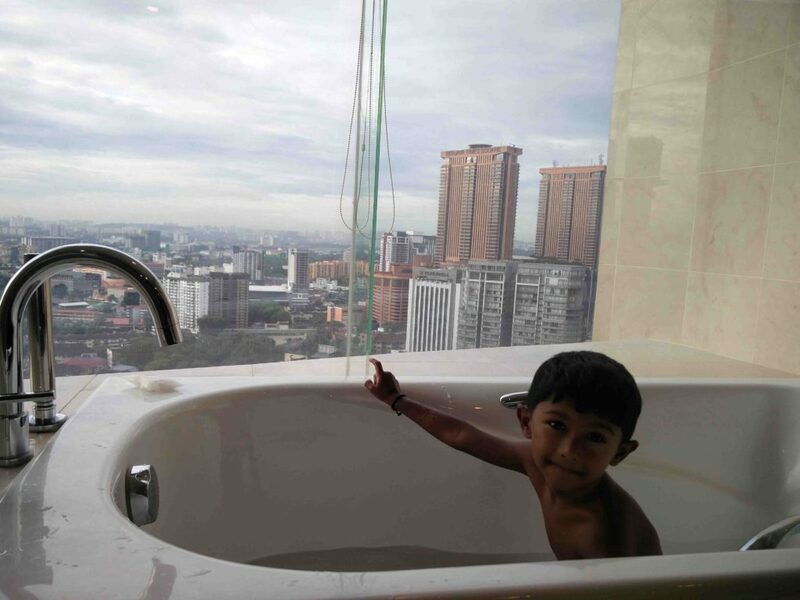 Just Amazing, Reyansh enjoyed bathing in it. Lunch at Prego! Scallops and Crab were superb and lip-smacking! Scallops were soft and had fleshy texture and delicately mild sweet flavor. The crab was colorful and tasted extremely well. We loved it! Enjoyed SuperFoodsRx Brunch, Live Cooking Show near Splash Pool! Met Westin SuperFoodsRx Chef! Very polite and well mannered. Westin Kids Club! 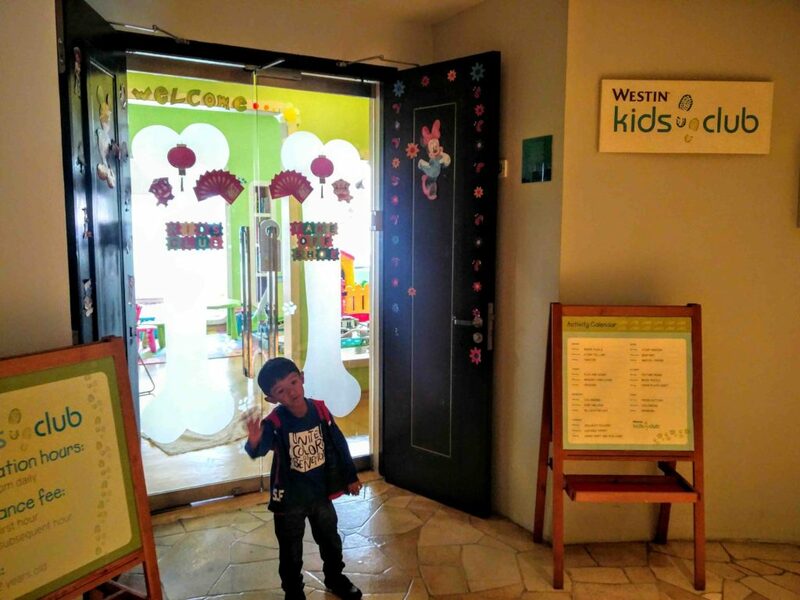 The Westin Family Kids Club is an interactive environment that offers fun, games, and educational activities. Rey enjoyed his time there; we got a little break too! Bon Appetit Lunch at Westin! We had Eggs Benedict, Museli, milkshake and Grilled Chicken. Tasty and distinct flavored dishes. 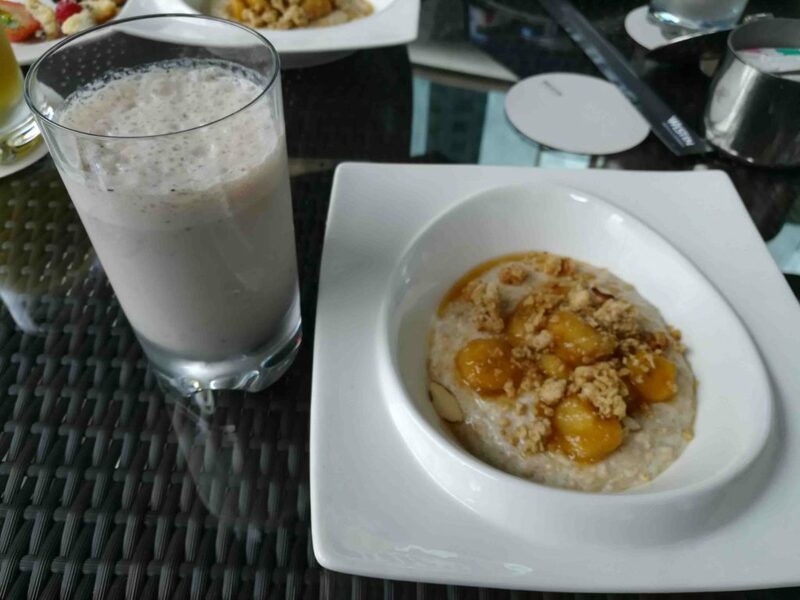 Muesli is a fiber and protein-rich brunch based on raw, rolled oats. Very healthy brunch milkshake! Grilled Chicken was marinated with a unique blend of seasonings and grilled for a tender and juicy backyard-grilled taste. My all time favorite, I just love non-veg! 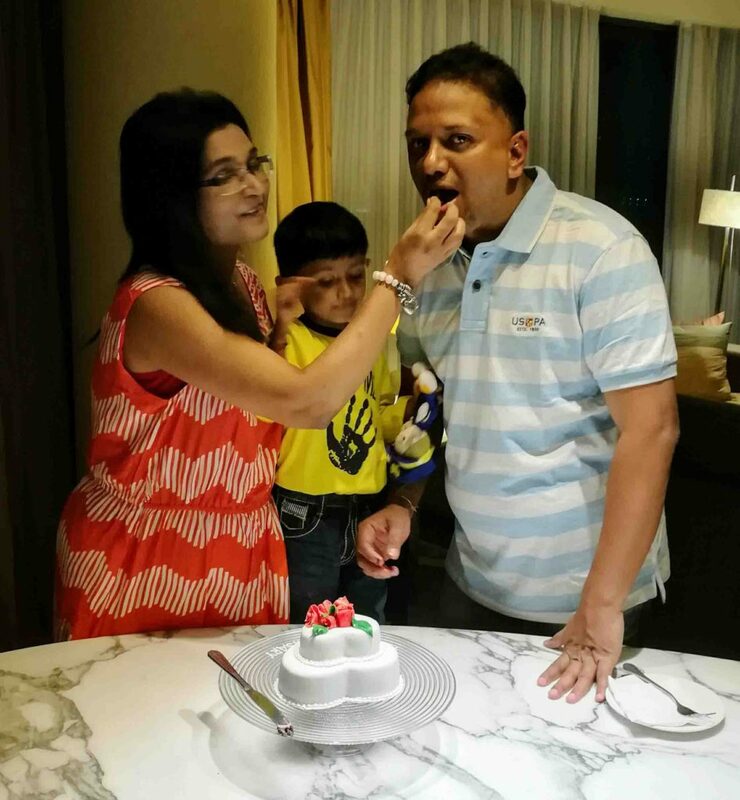 Our #HalfADecade Marriage Anniversary Celebration! 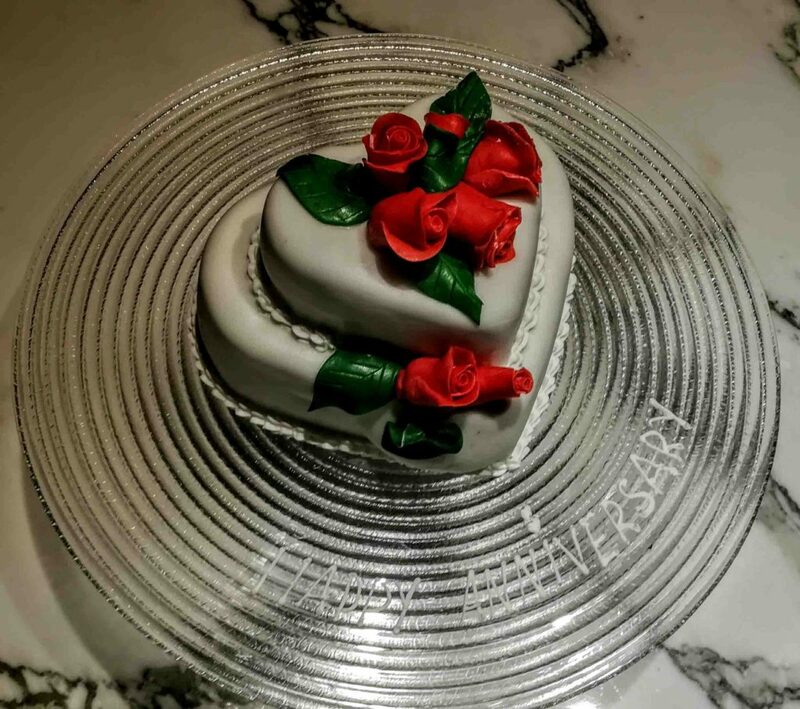 Westin KL surprised us with the anniversary cake, and that gesture touched me! The cake was marvelous and DELICIOUS! Thank you, Westin KL. Our Anniversary Dinner was special, indeed very special. Our table was decorated with rose petals. 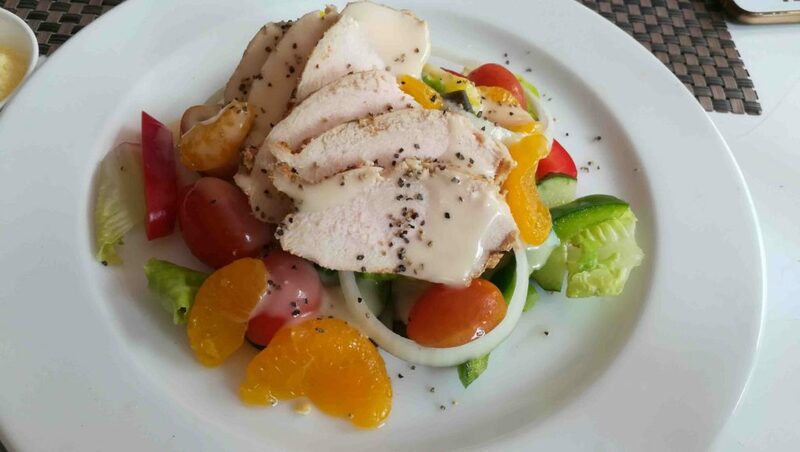 We enjoyed the occasion with Salad and Chicken! Fitting dinner, Ambiance was good, the selection was extensive, and overall dining experience was above expectation. 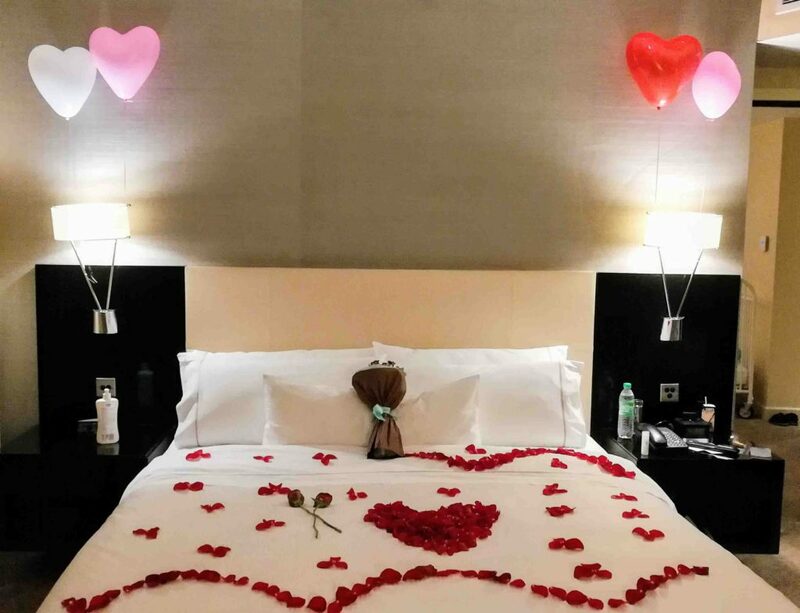 Anniversary Bed Room Decoration! It was fabulous and decorated with balloons and roses. A Refreshing Swim in Splash Pool! Enjoyed swimming after a long time, it was incredible. I loved this salt water swimming pool. Send off from Westin KL! 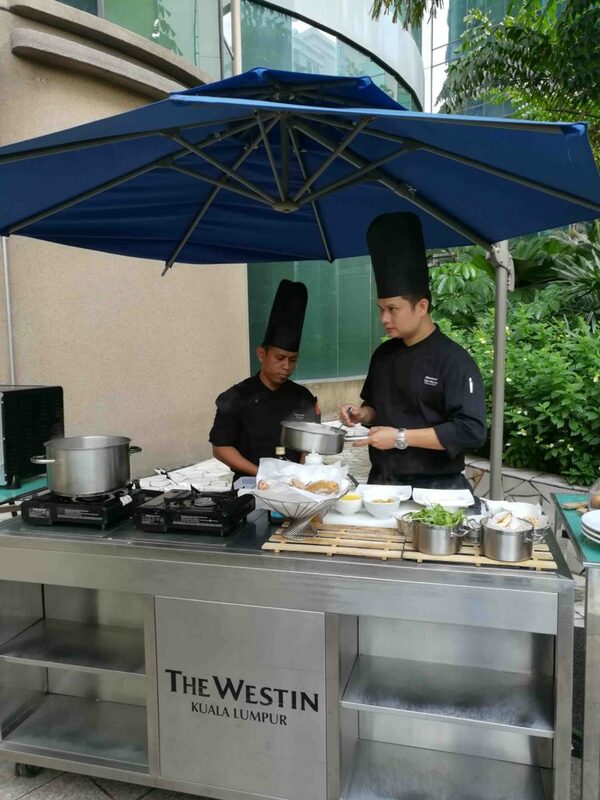 For more information, please visit The Westin KL’s official site. 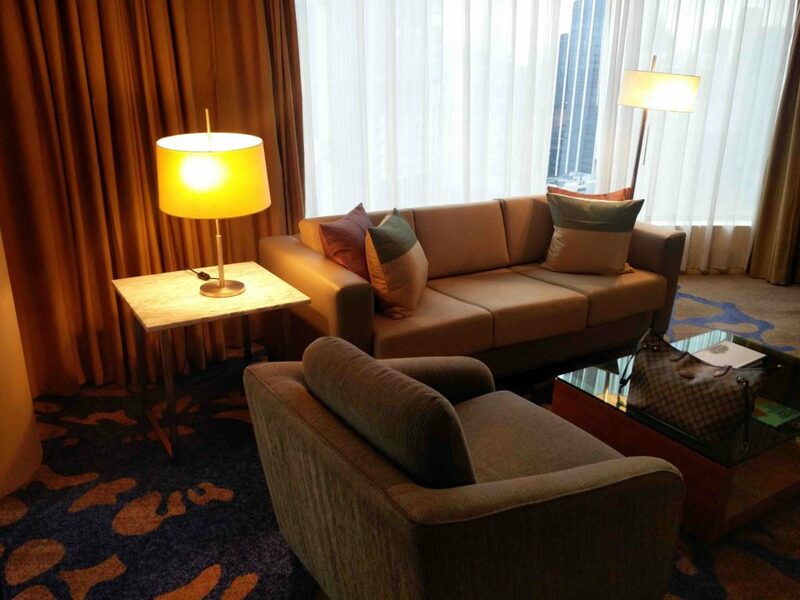 The rooms at the Westin KL are relatively large luxurious and very comfortable. It is great value for money. Service staff at front desk and breakfast eatery are very courteous and attentive. Breakfast is delicious and has a huge variety. Very conveniently located near restaurants, malls, busy streets. 10/10 had a fantastic stay, and I will be back soon! 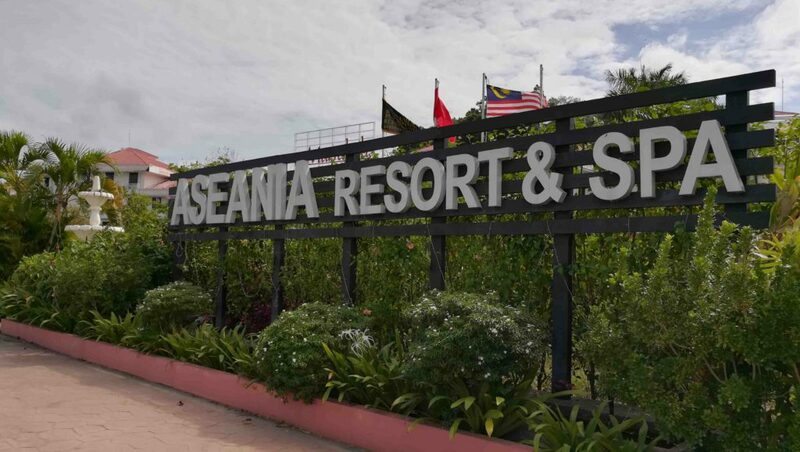 Aseania Resort & Spa Langkawi is one of Langkawi’s premier business and holiday resort. 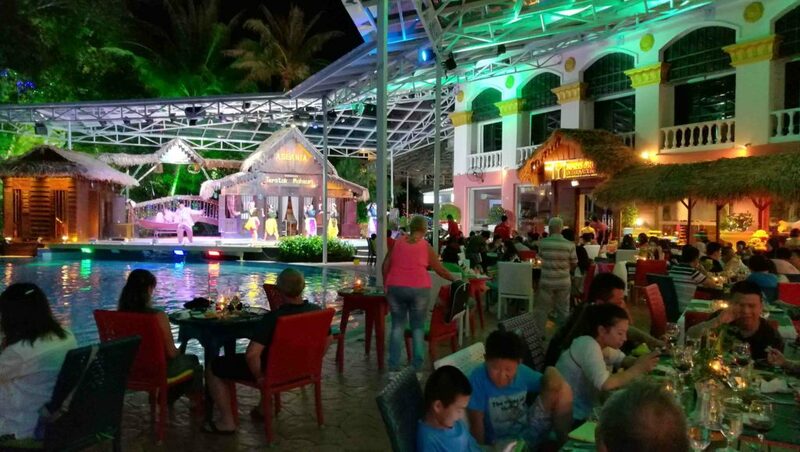 Situated to the south of the island, providing sanctuary with easy access to just about everything Langkawi has to offer, for business or pleasure. 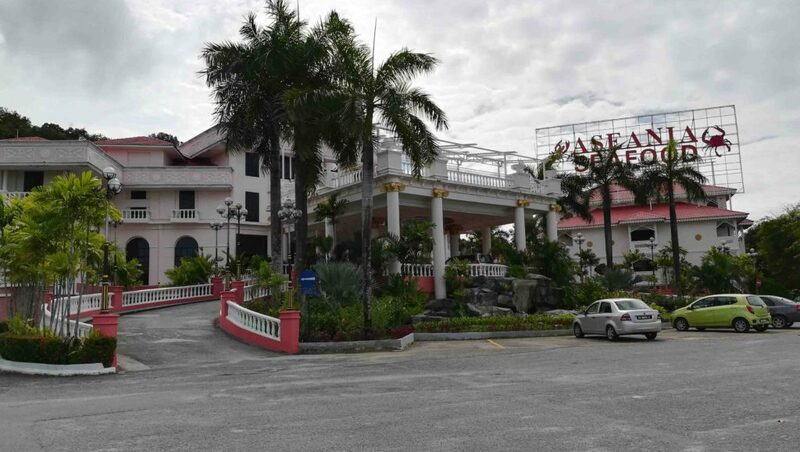 Enjoyed a great escapade to one of the glamorous resorts with welcoming warmth from the friendly Hotel staffs of Aseania Resort & Spa Langkawi. 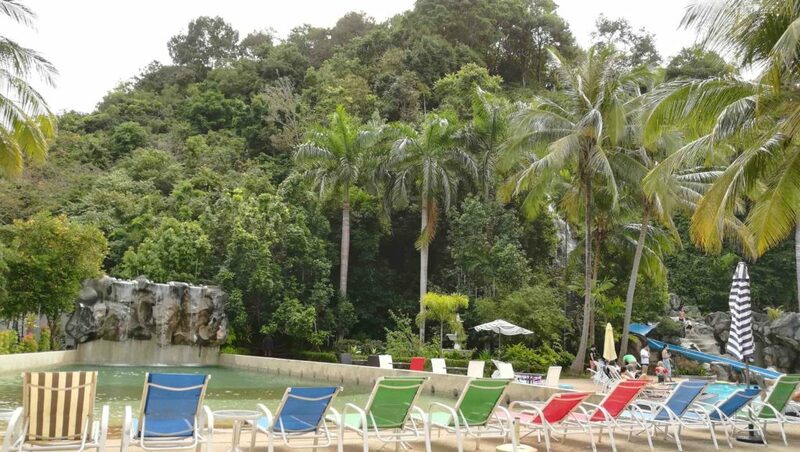 Sitting elegantly at the core of Pantai Tengah, resort branded a 4-star resort that has plenty to offer. 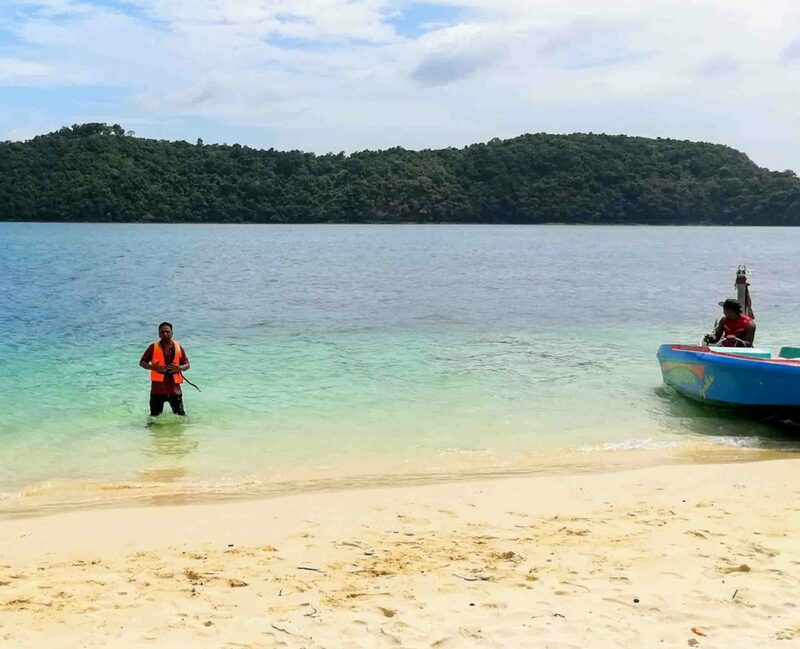 Situated just 2 minutes walking distance away from the Underwater World and Pantai Cenang, our resort is one of the most visited ones around the area. 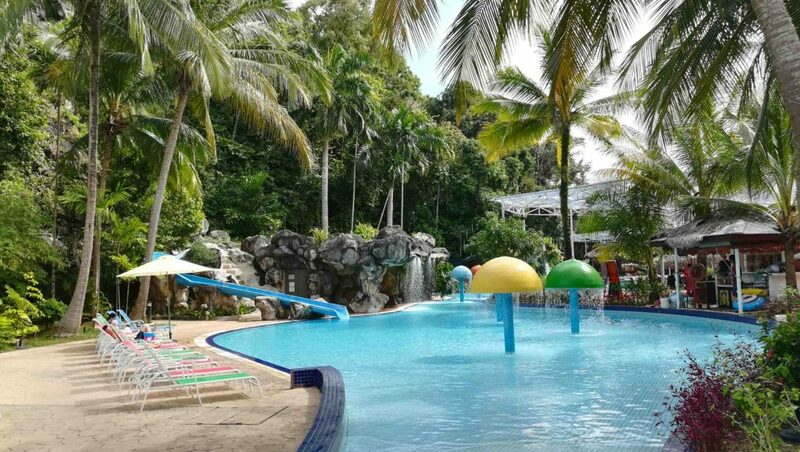 Aseania Resort & Spa Langkawi – Facilities! 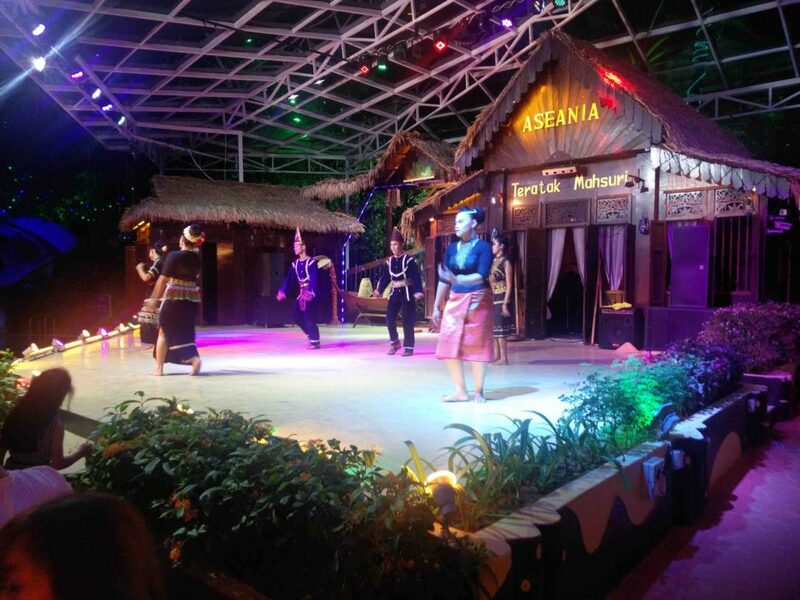 A place where you can find fancy restaurants, sizzling night entertainment, first class spa treatments and one of the largest swimming pool in Malaysia along with its mini theme parks is all in the heart of Aseania Resort & Spa Langkawi, the coolest and hottest resort spa around the island. For business or leisure, they have something to offer by helping us to achieve the best of both worlds. Water Splashing Fun – Mini Water Theme Park! 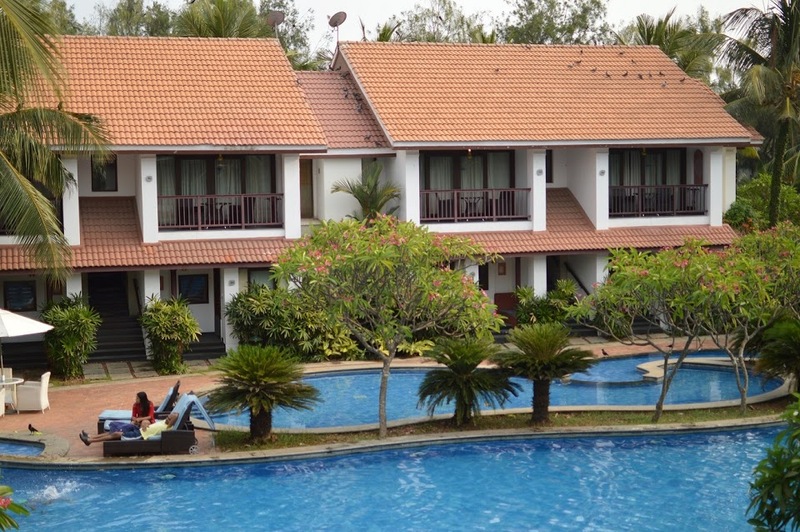 Aseania Laguna Resort doesn’t have just one pool; it has FIVE! MWTP located at the core of the resort, this magical wonderland is perfect for both adults and younglings. We can enjoy the adrenalin rush while starting on a journey of the water slides. They also feature both indoor and outdoors pool, which makes this a plus point for many. If you love the warmth of the sun that highlighted with a hint of greens along with human-made stone sculpture, then dive into the outdoor pools; whereas if you fancy a quiet and calmly swimming experience, the indoor pool is a better selection. 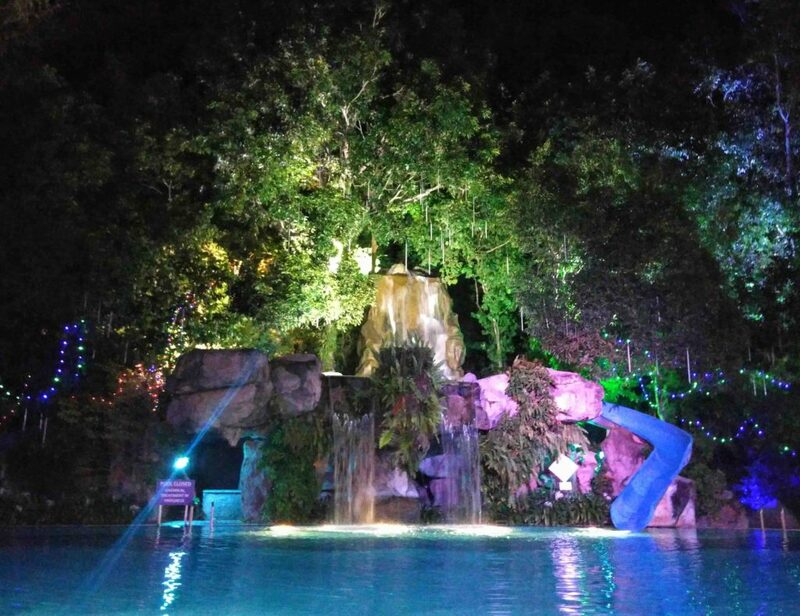 But the pool was more colorful in Night. I loved it! 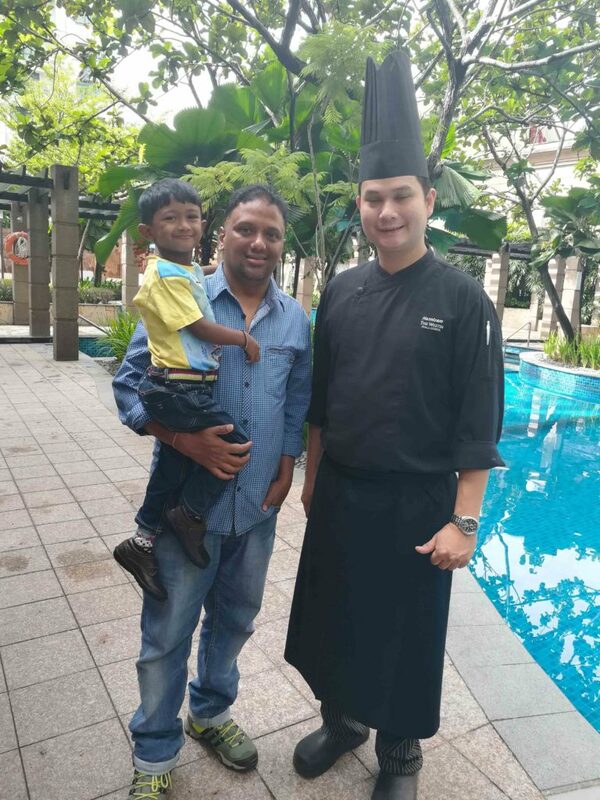 Mahsuri Kitchen – Culinary Delights! 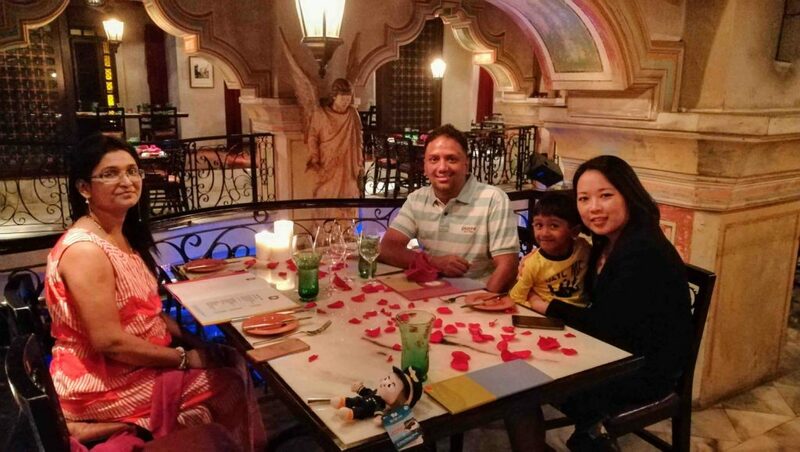 A heart-warming restaurant is a great hideout whenever you are looking to fill your stomach with yummy delicacies. 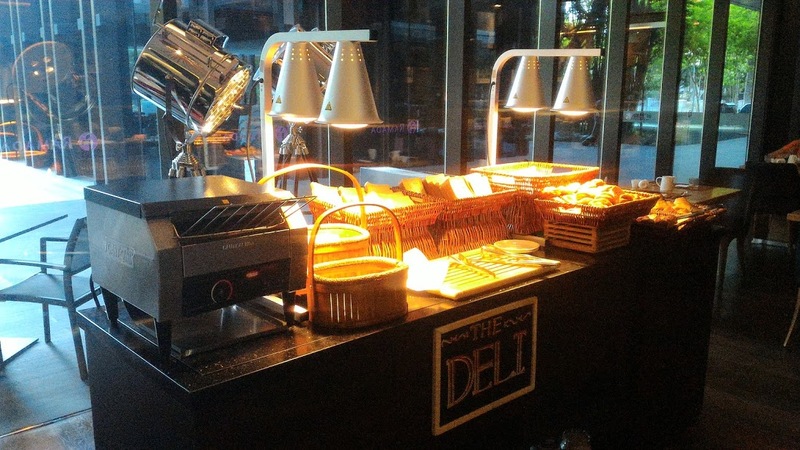 Culinary Haven is perfect for food lovers. 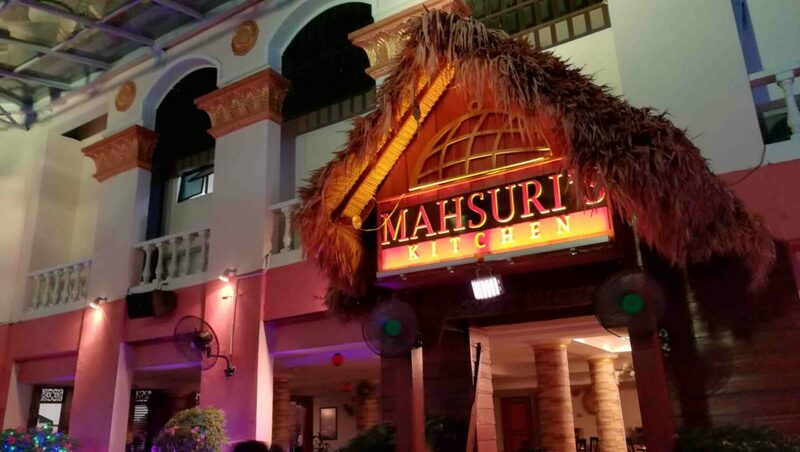 Mahsuri’s Kitchen as well as the Pool Bar both have excellent selections of different local and western cuisine, and it’s delicious! Had Crab Curry for Lunch! Grilled Chicken with Salad for lunch! 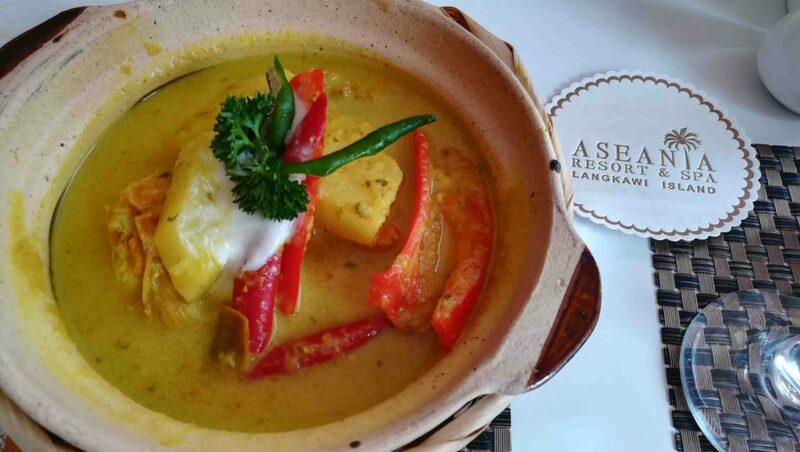 It had an expansive menu and guaranteed to satisfy even the most discerning palate. This place was super good! It’s very well-priced compared to other restaurants in the area. Fantastic entertainment and the live was just brilliant. An Exhibition of Malaysian traditional singing adjacent with some fairly exciting fire dancing. 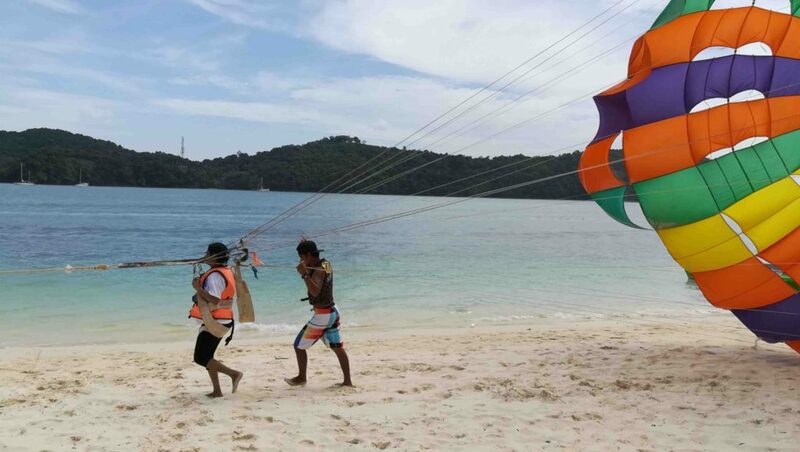 It’s a not-to-be-missed by any visitant to Langkawi. The deluxe room was spacious and efficient in decor. The comfortable queen size bed, sufficient working space including a desk with well placed electrical outlets, wifi, a mini fridge and even a small divan and table, provided all the facilities I needed at my fingertips. 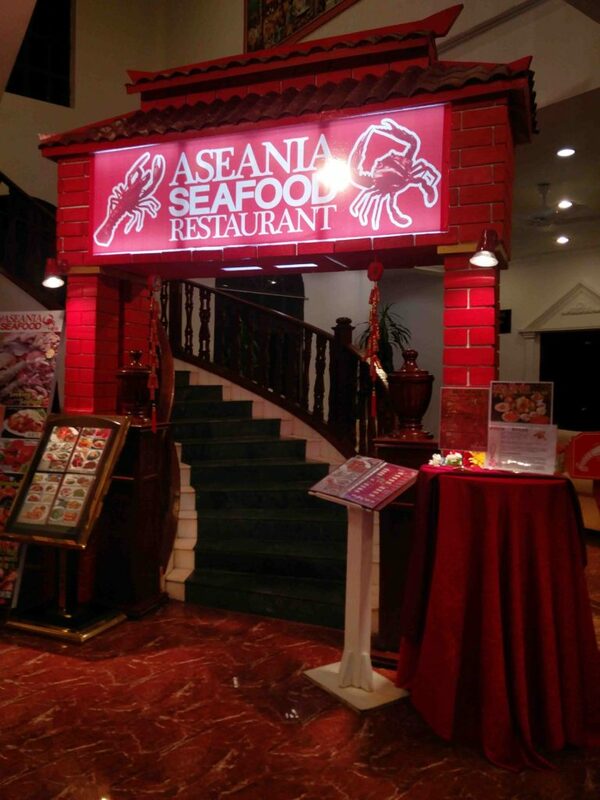 And despite the Aseania being very family oriented and kid friendly, it was surprisingly quiet and relaxing. 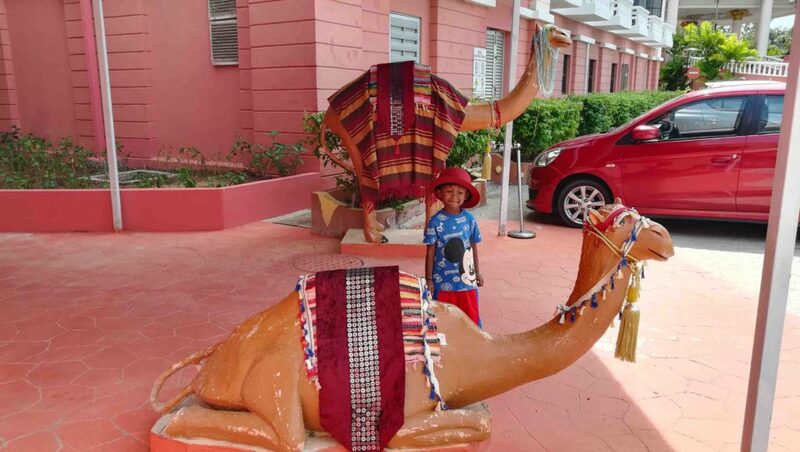 Marrakesh Musicteque Club – Rey with Camel! Speed Boat Parasailing – 5 Star Quality! A holiday in Langkawi is never complete without a proper tour of the island. The speed boat parasailing went incredibly smooth, and the refreshing thing is that they launch you from a special boat directly from the water. The scene was breathtaking, as Langkawi itself and its surroundings are phenomenal. You can fly so high that you are at the same level with the Eagles which roam around the island. One of the highlights of our trip to Langkawi. #HalfADecade Marriage Anniversary. Hotel ambiance and the environment were excellent. 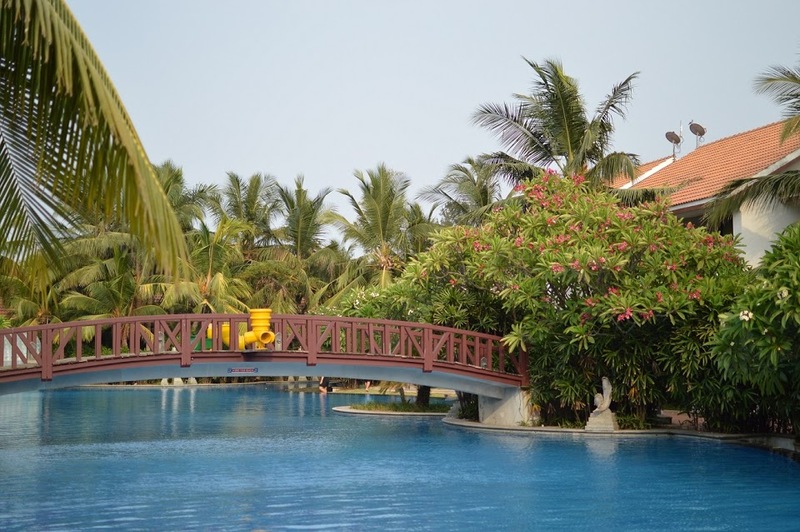 The swimming pool was fantastic, and the best is the location walkable from the beach and the main shopping area. Rooms were spacious, and staffs were friendly. 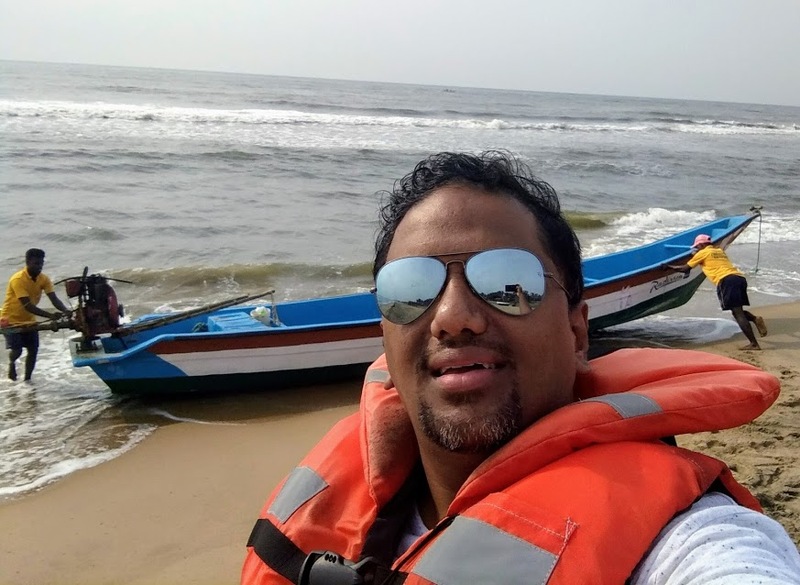 Recently on my trip to Jaipur, I was looking for nearby visits which are not more than 150-200kms around that area so that we don’t get stressed with the travel and still enjoy the vacation. I realized that Ajmer and Pushkar can be done within a day’s time where you visit the World famous Ajmer Sharif dargah which is flocked by people from all faiths and also the Brahma temple and Pushkar Sarovar in Pushkar. 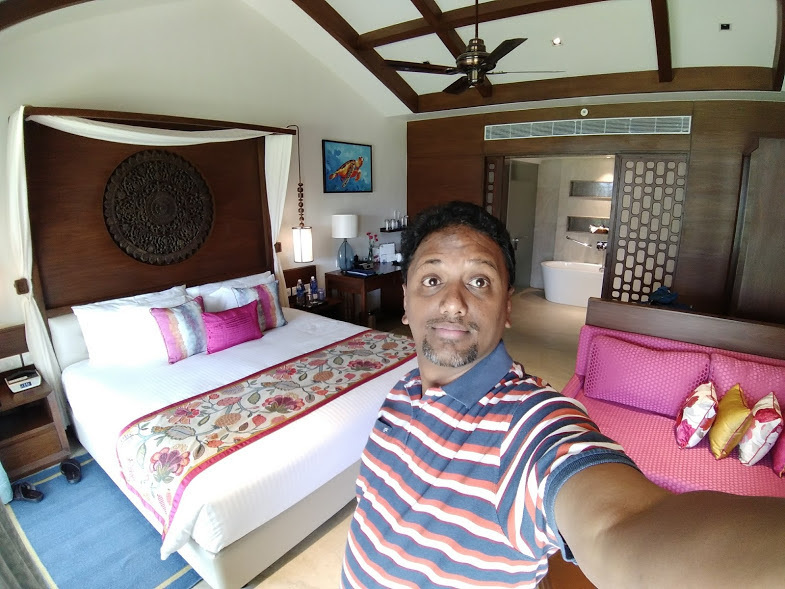 But then I was thinking it would be too stressful a journey so was looking forward to some good accommodation around Pushkar when I found out about Pushkar Resorts on social media! The beautiful cottages at Pushkar Resorts which are adorned with flowering plants and creepers definitely interested me as I’m a nature lover. The serenity of the location along with wonderful weather during the winter months made me choose Pushkar Resorts as Sewara Hospitality is known for it’s world class service. The rooms were tastefully anointed with colorful paints and Rajasthani embroidery. All the latest amenities are available in these cottages like air conditioning and even heater which is very much required in the winter months. Room service is quite efficient but as it is quite far away from civilization, it’s better to have emergency medicines available with you in case you require any. The mood of the lighting in the room is quite subdued and it is quite warm too. If you feel hungry from your jaunts across the property, swim in the vast swimming pool or from playing outdoor/indoor games, you can head to the restaurant which is in a villa of it’s own. There is the best of North Indian food available to suit your taste buds and in case you request for it, you would even get some Rajasthani specialty dishes like Dal Bhati Choorma! The Making of Harry Potter tour in London – Potterverse comes alive! Dreams do come true! I have been a fan of the Harry Potter Universe since I was introduced to the 4th book “Harry Potter and the Goblet of Fire” way back in early 2003 in Stylus; and then started reading all the old books to get up to speed before the next book released in June 2003! I was such an addict to the Harry Potter series that I actually came to my office during a weekend to read the pirated PDF version of “Harry Potter and the Order of Phoenix” as I didn’t have access to any other computer then! I was elated when I won the last book “Harry Potter and the Deathly Hallows” in 2007 in Accenture and I again finished the humongous book in just a weekend! So imagine how I would have felt when I reached “The Making of Harry Potter” Warner Bros Studio Tour in London finally!! As part of the “Food is Great Britain” long haul food bloggers trip, I landed in London and after checking in at the stunningly located Cheval Three Quays right next to the Tower Bridge, started on the trip of a lifetime to one of the most popular new tourist attractions in London – Warner Bros. Studio Tour of “The Making of Harry Potter”. Golden Tours, one of the leading tour operators in UK, runs regular trips all over Britain not just for the WB Studio Tour. The hangars which used to produce fighter planes in World War II in 2000 became home to sets where the highest-grossing film series ever was shot! As soon as we entered into “Warner Bros. Studio Tour London – The Making of Harry Potter”, we saw one of the most unforgettable locations in the Harry Potter film series – The Great Hall! How many of us have not wanted to be sitting in this great hall with Harry, Hermoine and Ron being a part of Gryffindor! It was wonderful to see the original customes used by the actors kept next to the tables and all the 4 houses of Hogwarts represented in the small hall which appeared to be a Great Hall in the movies! The table has some of the graffiti by the cast too as they thought of it as their own school! The guides at the Making of Harry Potter tour were very knowledgeable and explained to us many aspects of film-making like how make up was done, what kind of props were used for the filming, some interesting anecdotes during the shooting, etc. It was great to see the guides talking passionately about the movies and they looked like Potter fans too! Did you know that the Greyback makeup effects artists developed a seven-piece silicone prosthetic mask for Greyback’s werewolf face? Each prosthetic was made with real goat hair that was inserted strand-by-strand! One of the best movies I love in Harry Potter series is “Harry Potter and the Prisoner of Azkaban”. It featured some really cool sets like this time piece which was constantly being shown in the background to showcase that time is running out on Harry Potter and his friends! It was wonderful to see this along with the customes worn by the lead cast which were significantly different from the other movies as director Alfonso Cuaron (of controversial movie ‘Y Tu Mama Tambien’ fame) wanted to give the movie an edgy feel! The art department designed the Potions classroom to appear as though it were located in a dark, underground corner of the castle. The brass-leafed archways are inscribed with the Latin and English names of potion ingredients and rare minerals, all selected from ancient alchemy recipes. Students brewed their potions using old-fashioned, gas-powered Bunsen burners and among the ingredients kept on the classroom shelves were baked animal bones from a local butcher shop and dried leaves and herbs. It was also nice to see potions master Professor Snape’s custome there, who is indeed the half-blood prince! I liked the fact that film-making was very well explained through many of the display items in the WB Studio Tour of Making of Harry Potter. Showcasing these vehicles including Hagrid’s motorcycle against a green screen with visuals playing at the back about how green screen shooting happens, helped everyone understand the entire film-making process. It was wonderful to see so much effort being put into creating each of these vehicles exactly similar to the ones described in the books, right down to the detail! I tried my hands at few of the spells which were taught to me by enthusiastic guides and I must say I did manage to master a few, especially “Expecto Patronum” which is the Patronus Charm! I guess my animal was a HippoGriff cause I saw a moving Buckbeak next!! In the back lot, I took a ride in Hagrid’s motorcyle which reminded me of Sholay movie and also the 22 foot tall Knight Bus! It seems the Knight Bus was created from pieces of three vintage London double-deckers. 2 versions of the bus were built – one that was motorised and able to be driven; and one which was the ‘stunt’ version which spun around on a turntable! Interior shots of the Knight Bus were filmed on a soundstage though! At the back you can see Number four, Privet Drive which was the house of Harry Potter for 11 years and also during most of his summer holidays! The Creature Effects section was excellent, specially the life size robots which were created for shooting. Aragog, the giant spider, had an 18-foot leg span and was covered by hand with yak hair, sisal (a fibrous plant of the agave family) and hemp from brooms. The animatronic figure was so complex that it required nearly 100 technicians to operate each time! The head of the Basilisk was huge and could be moved by animatronics too! Finally the jewel in the crown of the art department was the intricately detailed model of the Hogwarts castle. Built for the first film, Harry Potter and the Philosopher’s Stone, the model’s every courtyard, tower and turret were filmed and enhanced with digital effects to create unforgettably realistic views of the magical school. It was great to see how you can differentiate between day and night versions of this castle by the lights dimming and lighting up across this model. Most of the special effects scenes were shot with this model and not the real set. The work on the model itself was so extensive that if one was to add all the man hours that have gone into building and reworking the model, it would come to over 74 years! I would suggest everyone going to the UK to definitely make a trip to “Warner Bros Studio Tour – The Making of Harry Potter” as it is one of the best ways you can spend your 3-4 hours just 1 hour away from central London. Golden Tours operate regular buses but remember that you must book your tickets in advance. No tickets will be available at the venue.